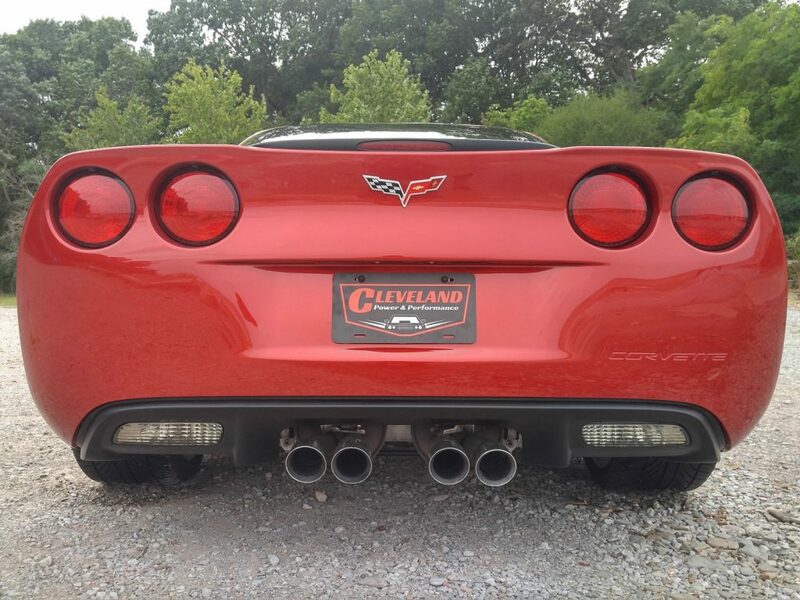 Cleveland Power and Performance is proud to present this rebuilt 2008 Corvette coupe! 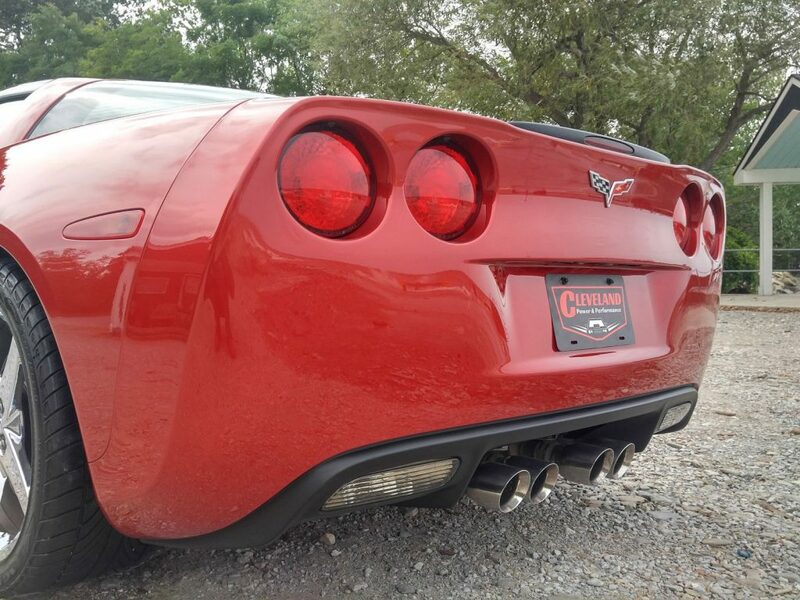 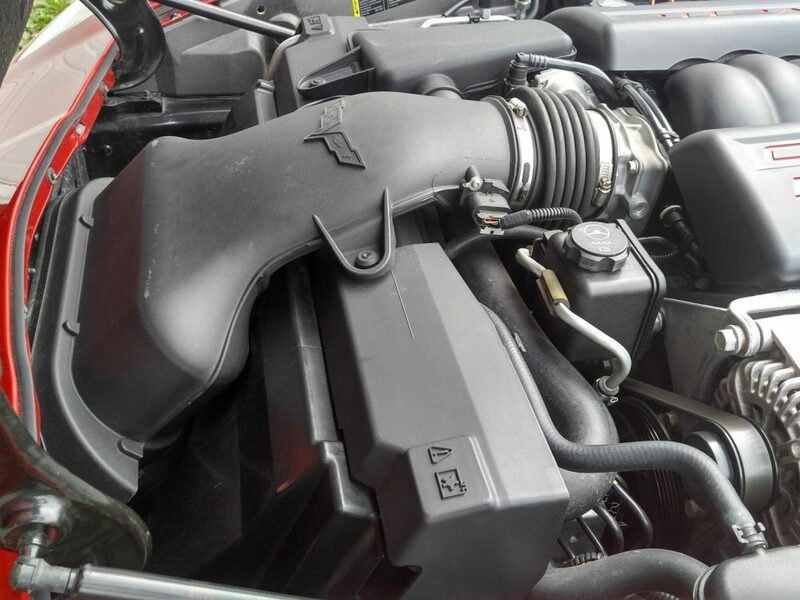 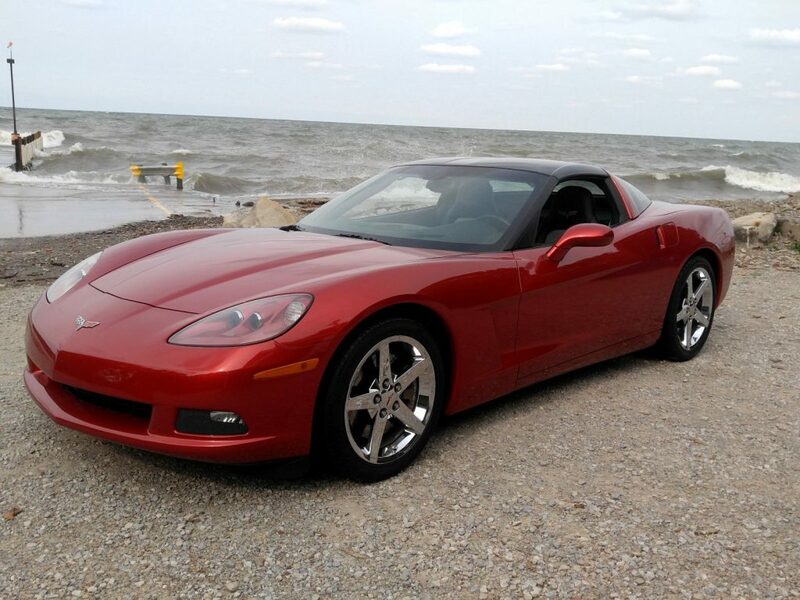 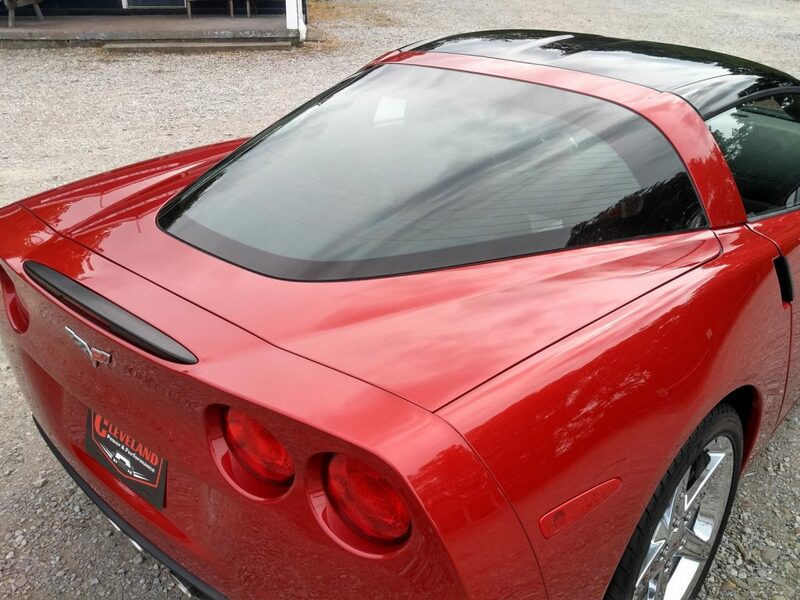 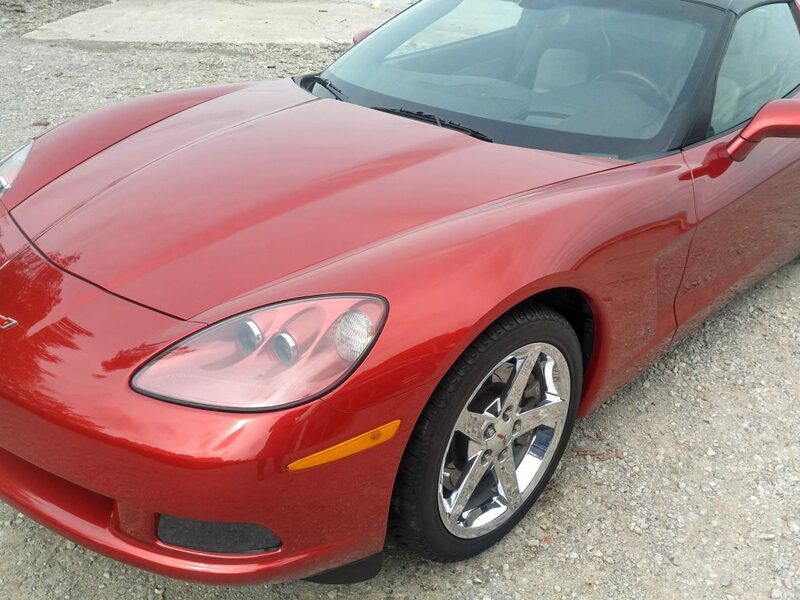 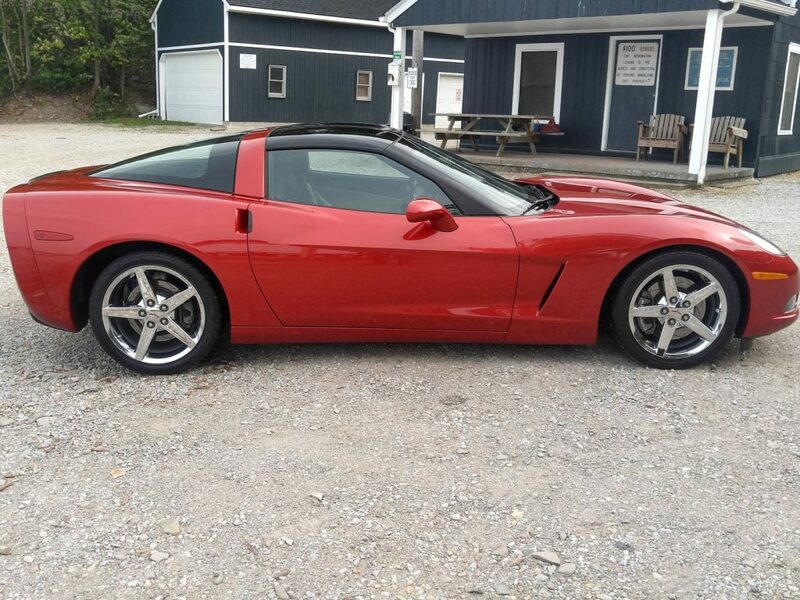 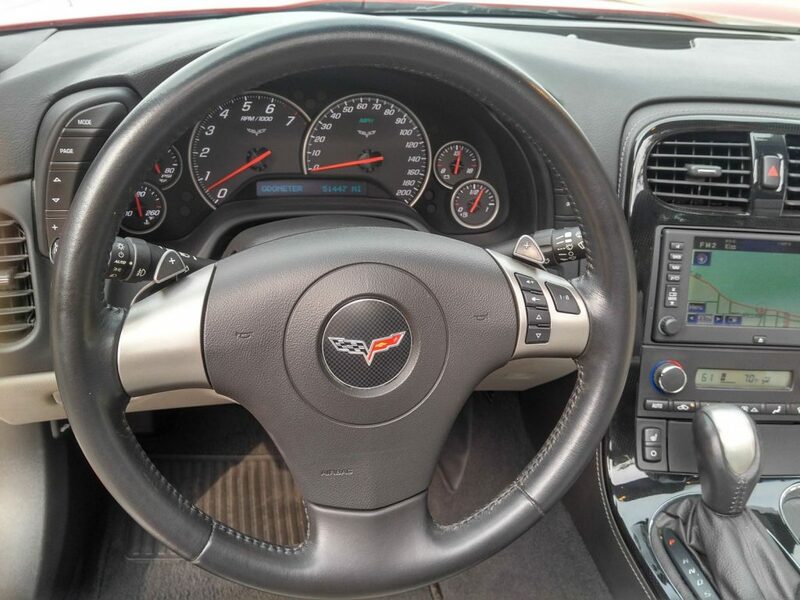 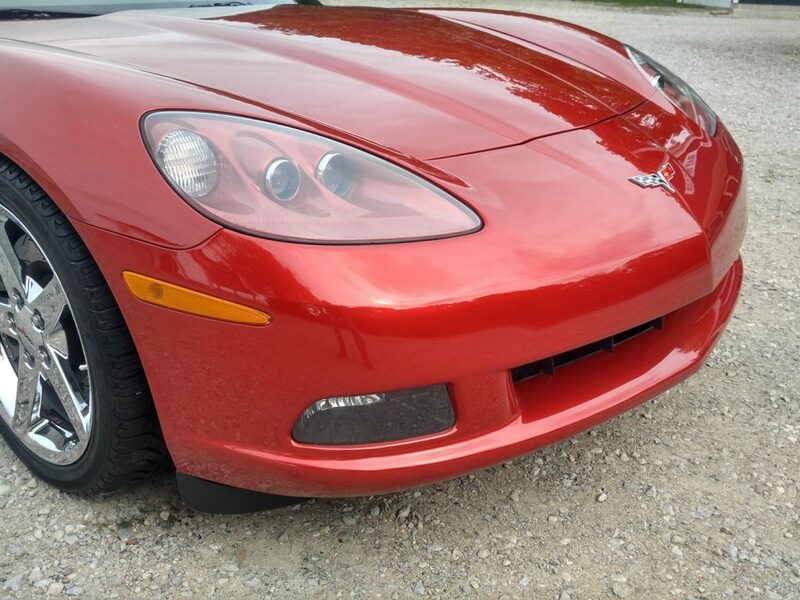 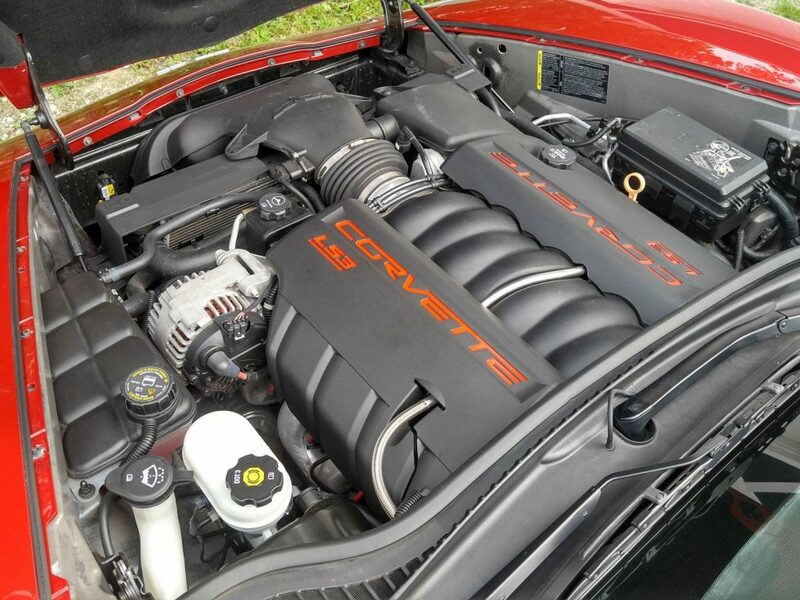 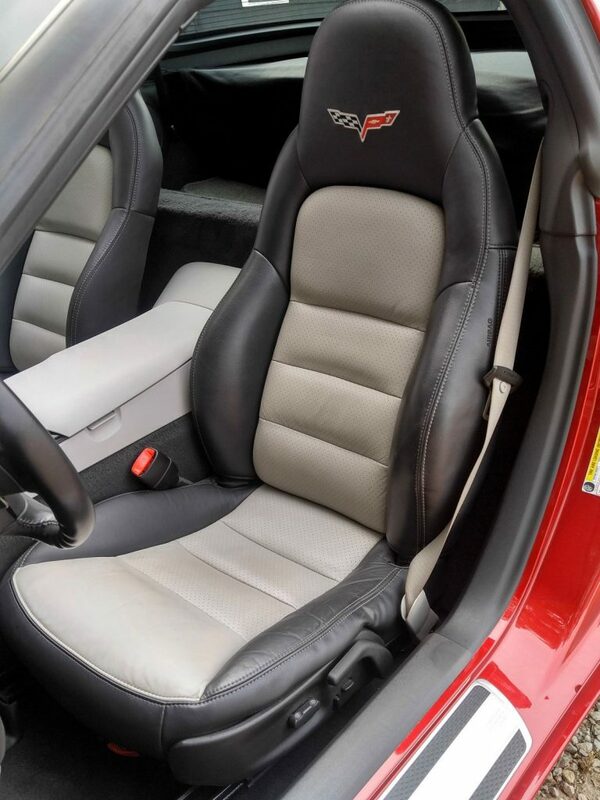 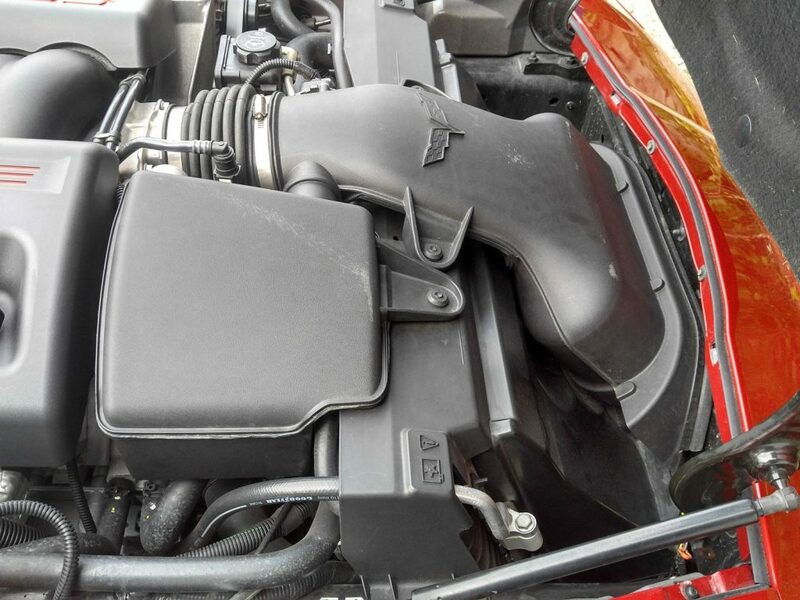 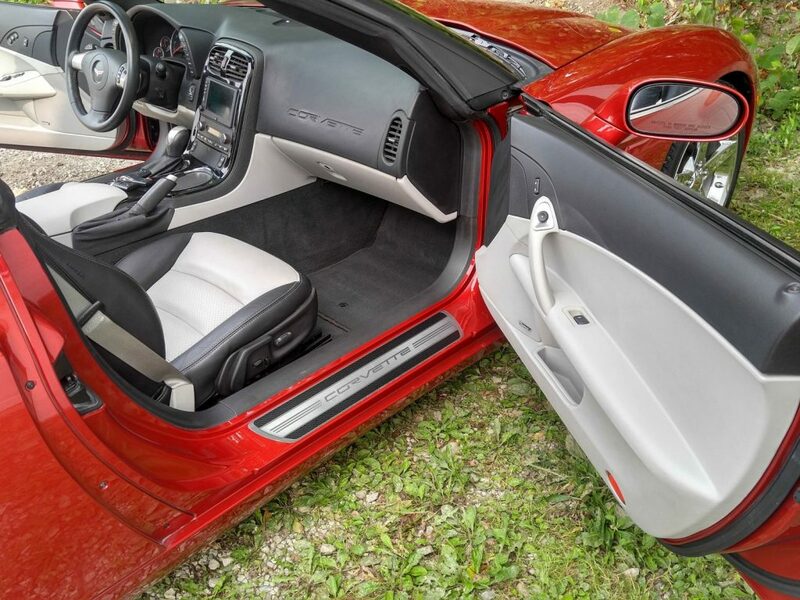 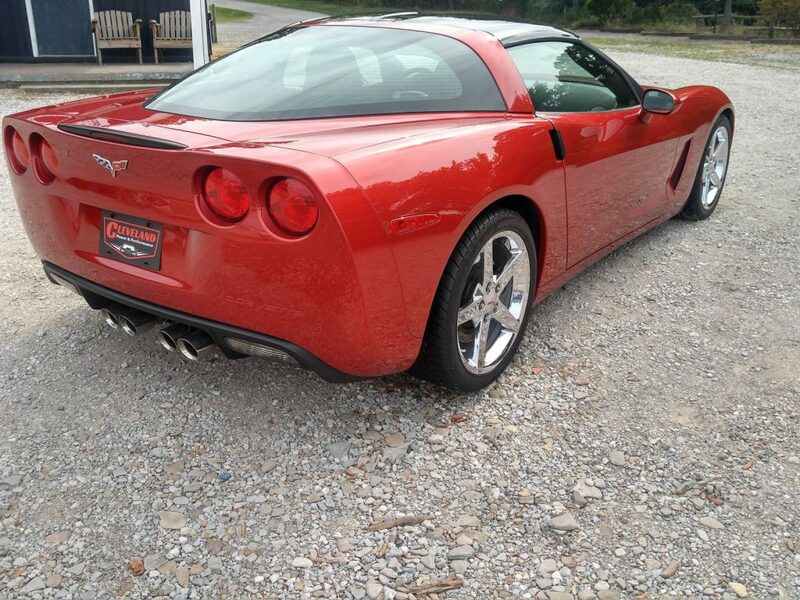 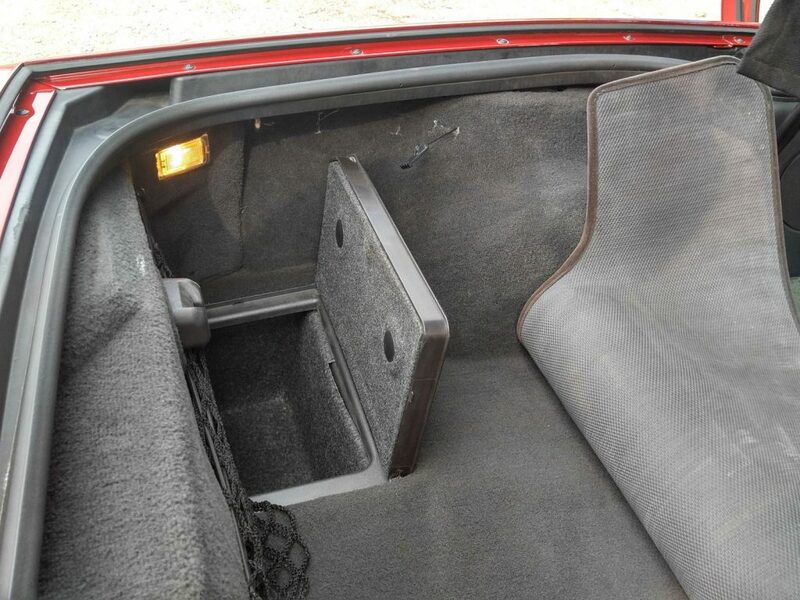 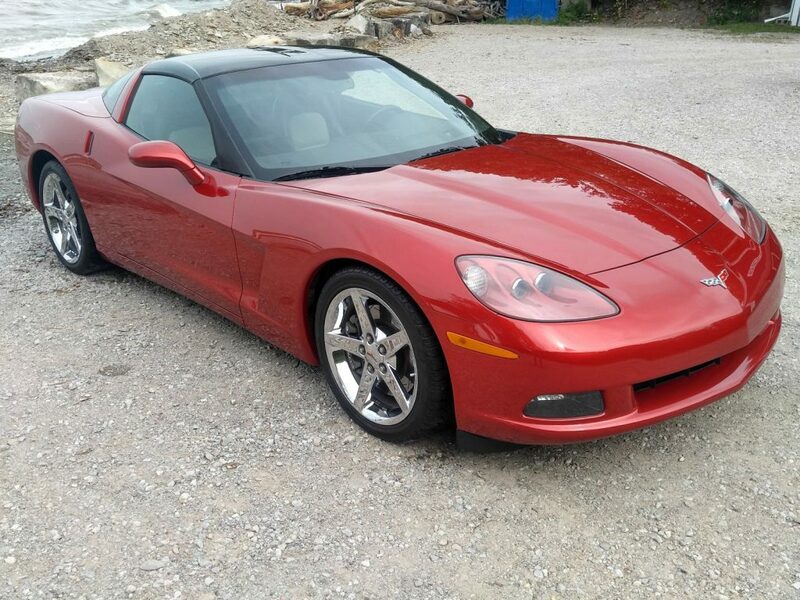 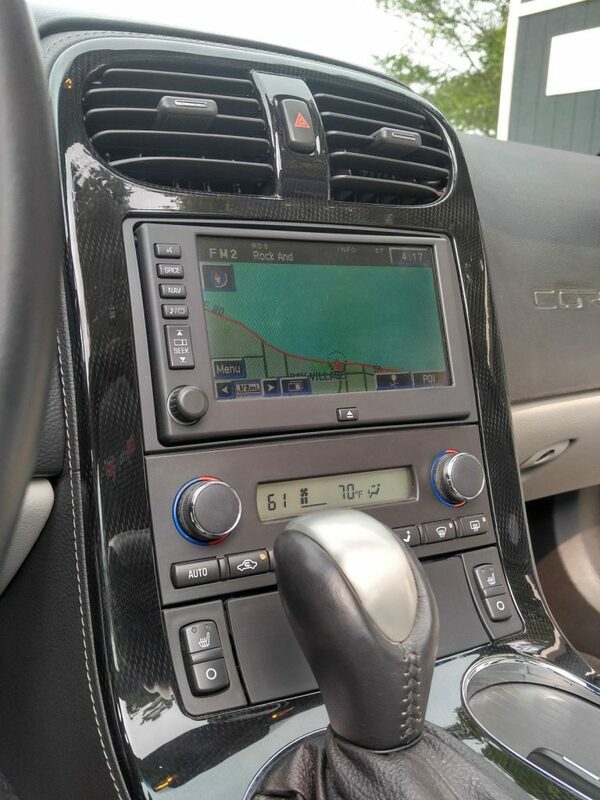 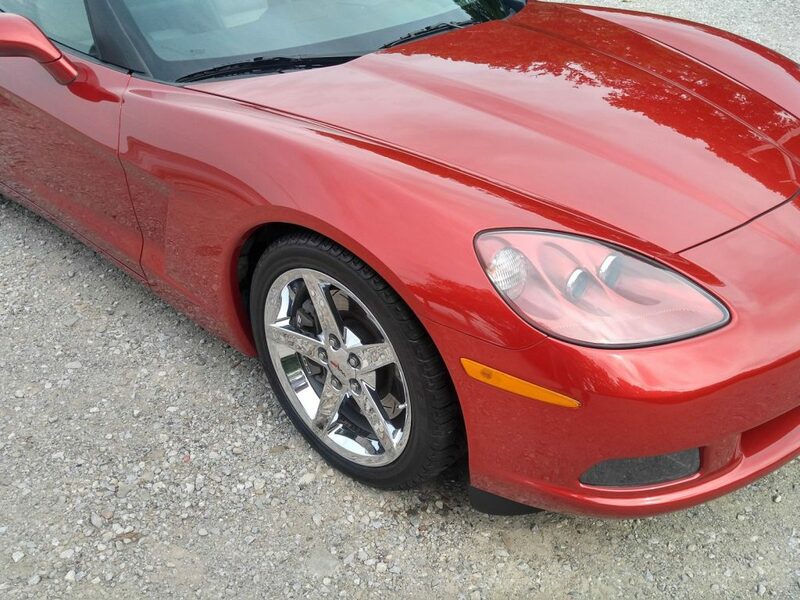 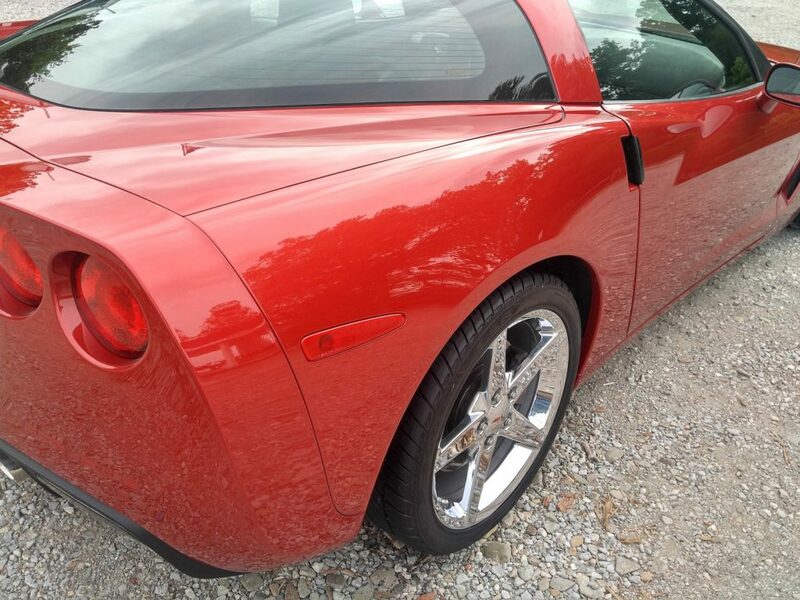 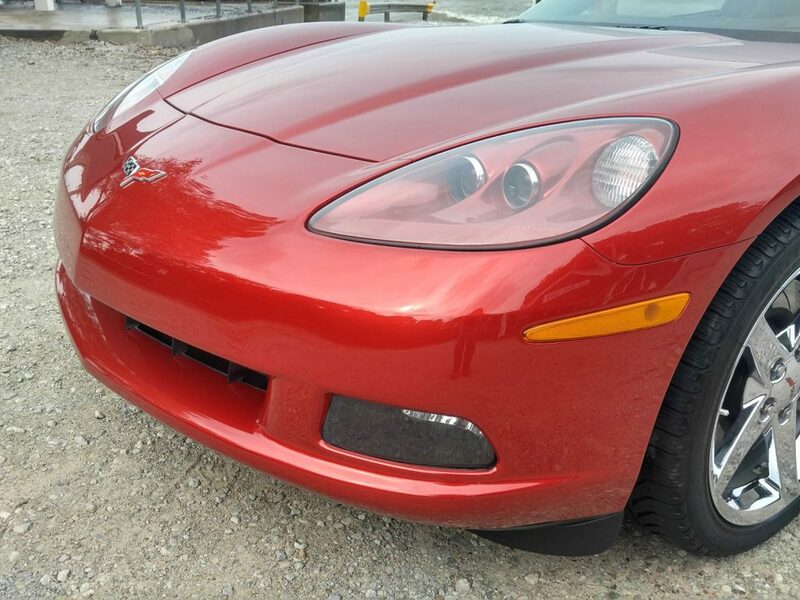 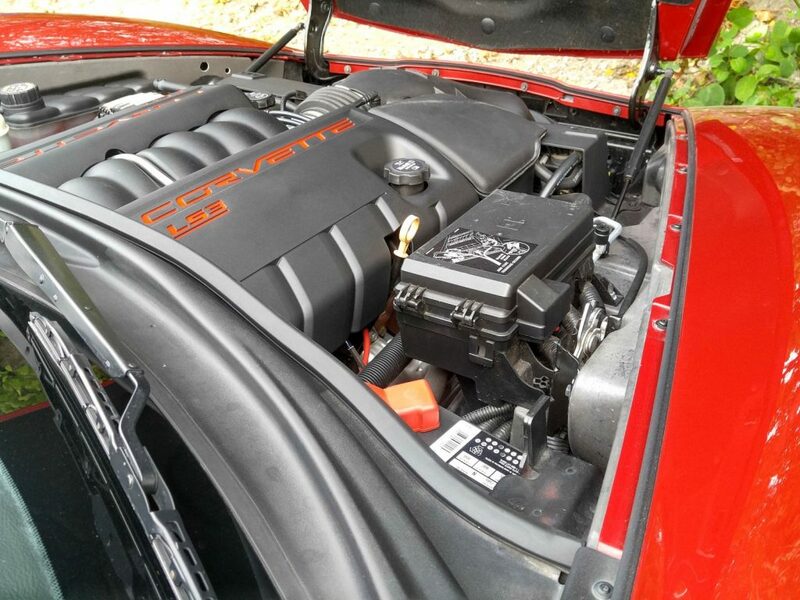 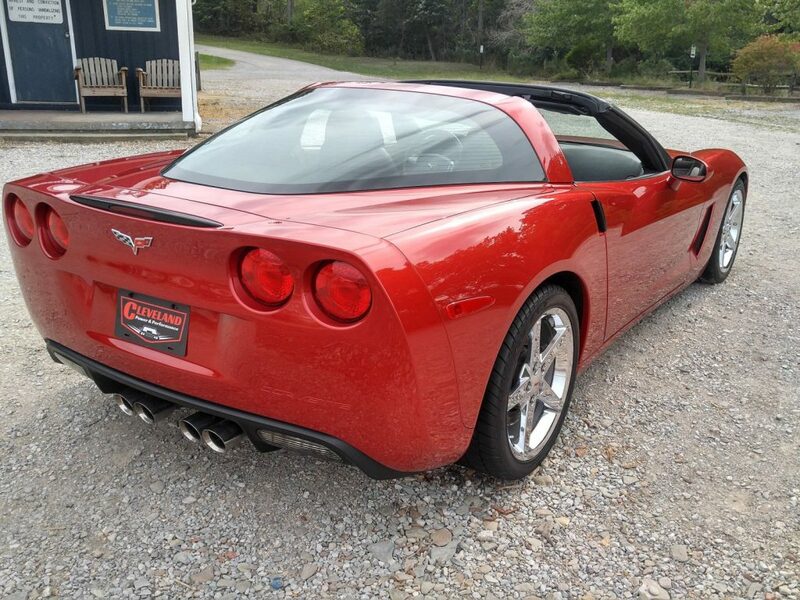 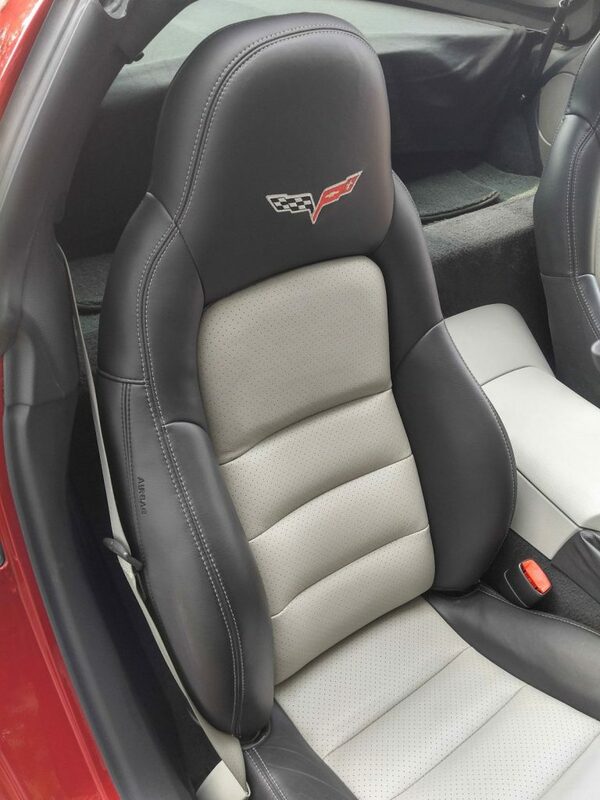 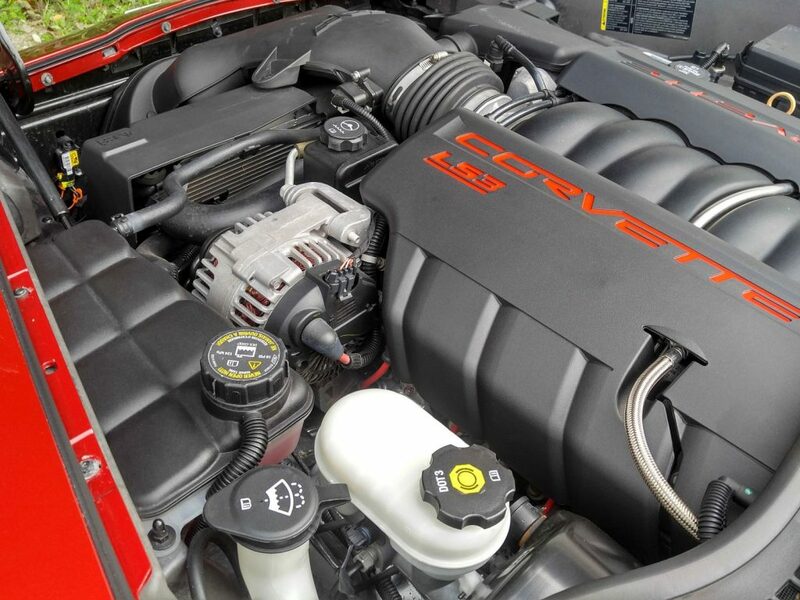 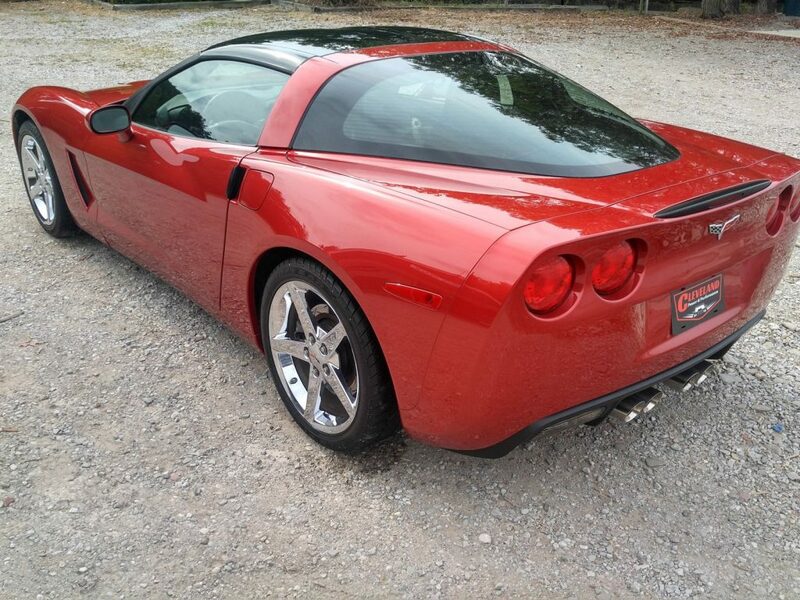 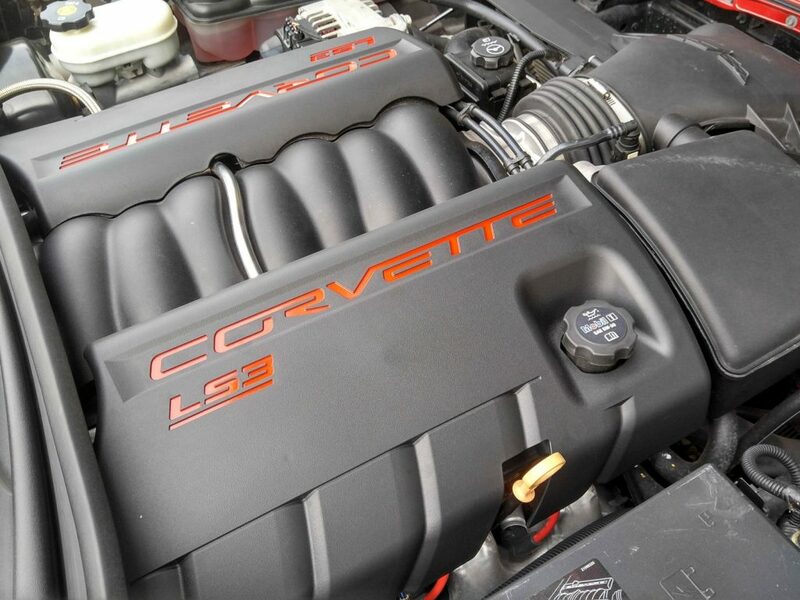 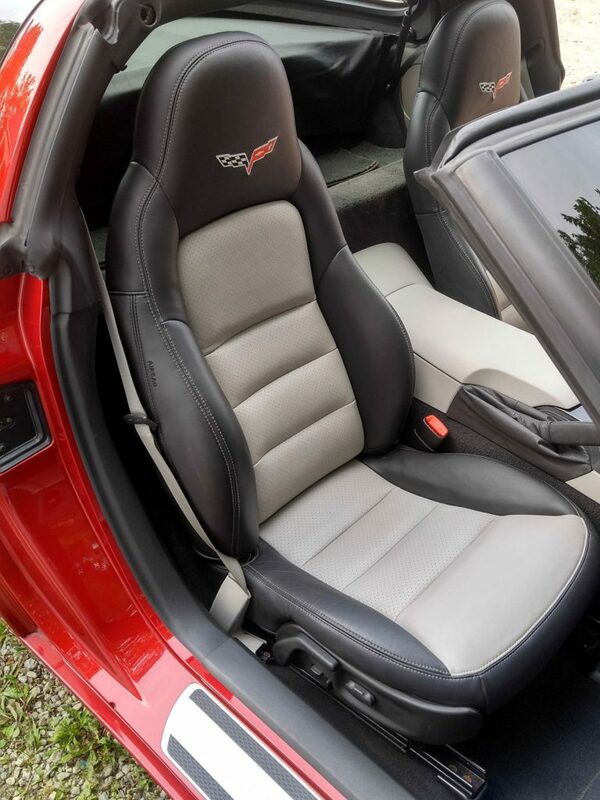 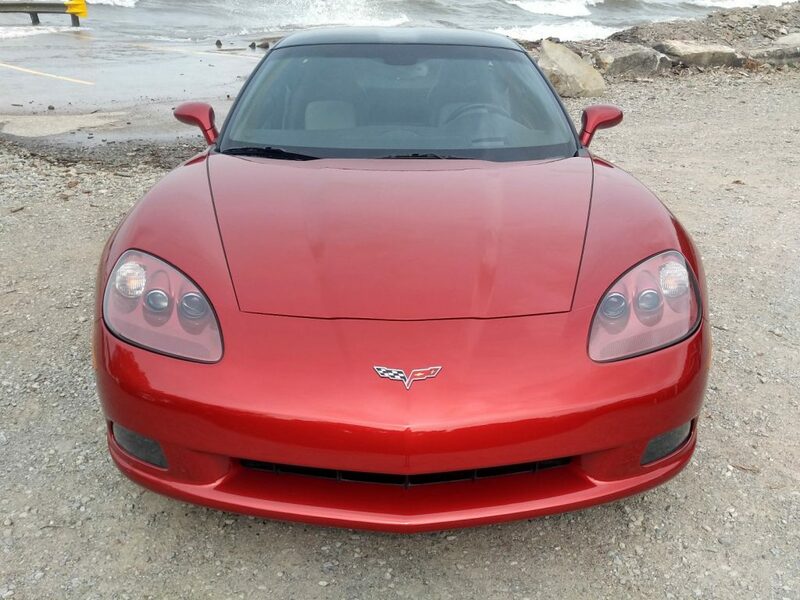 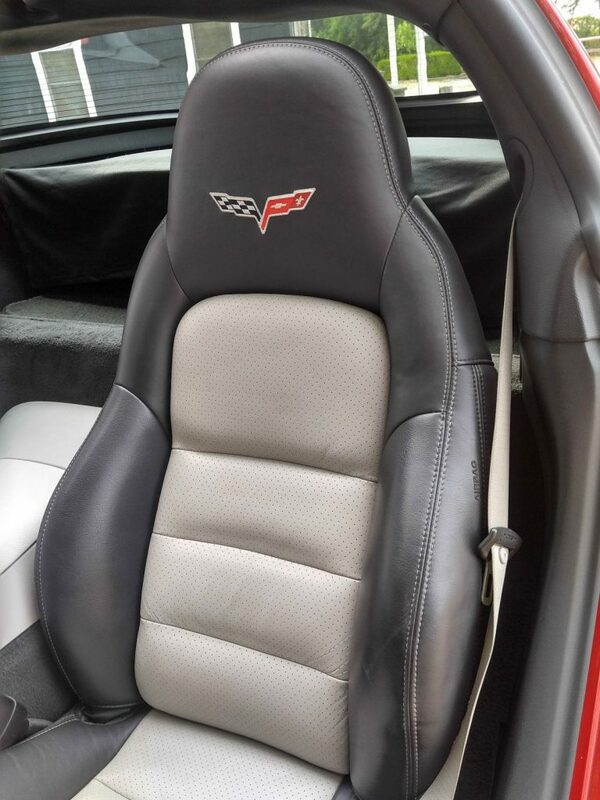 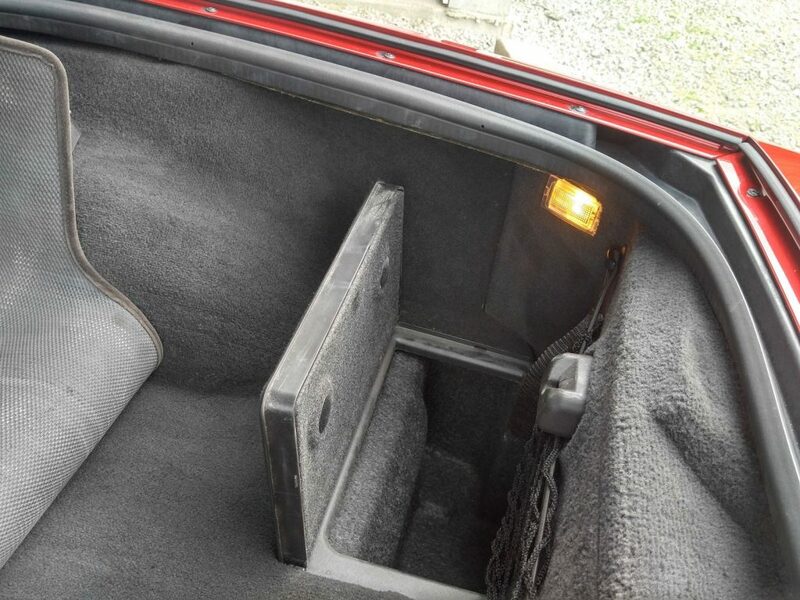 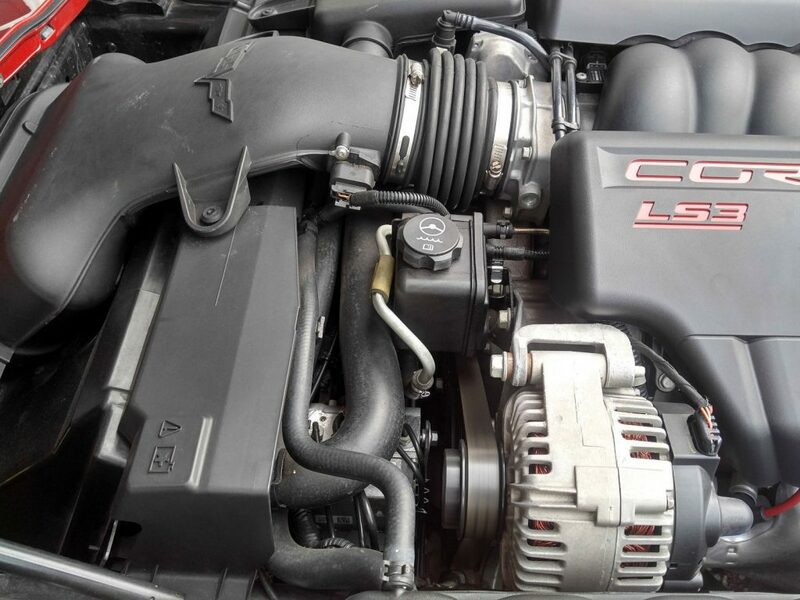 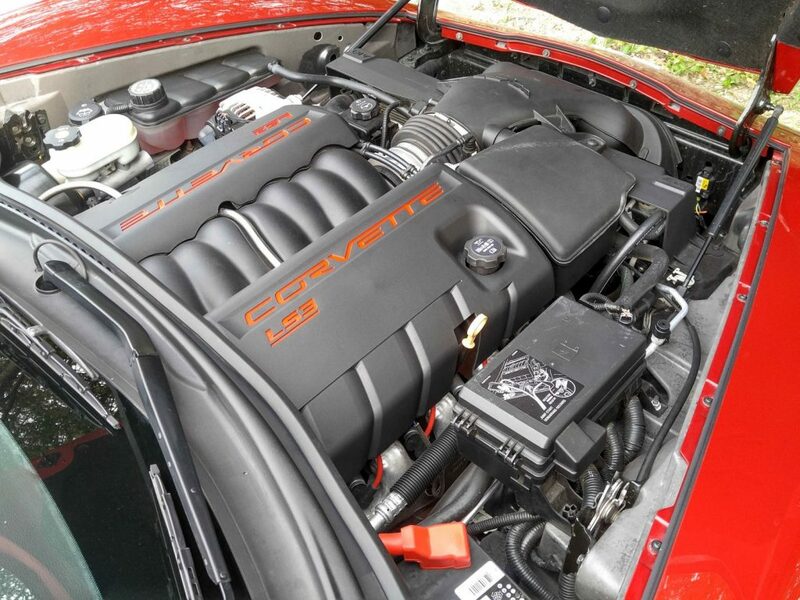 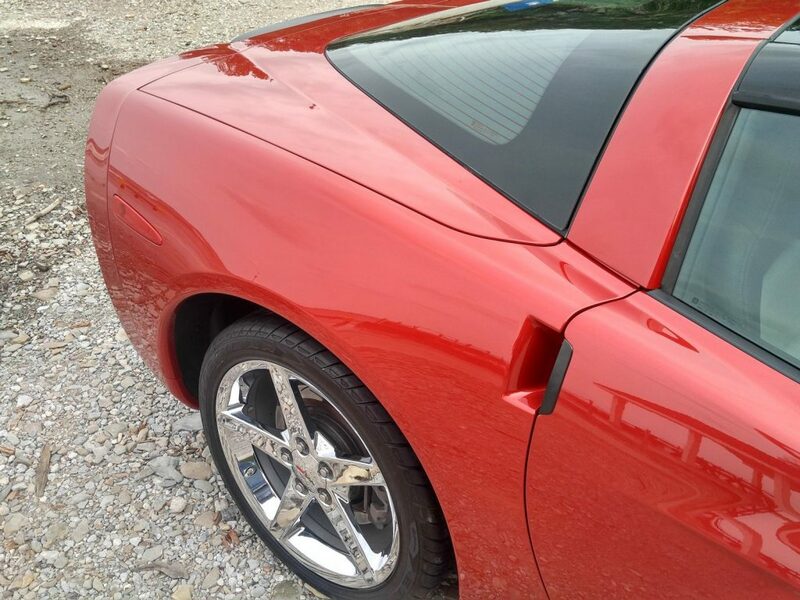 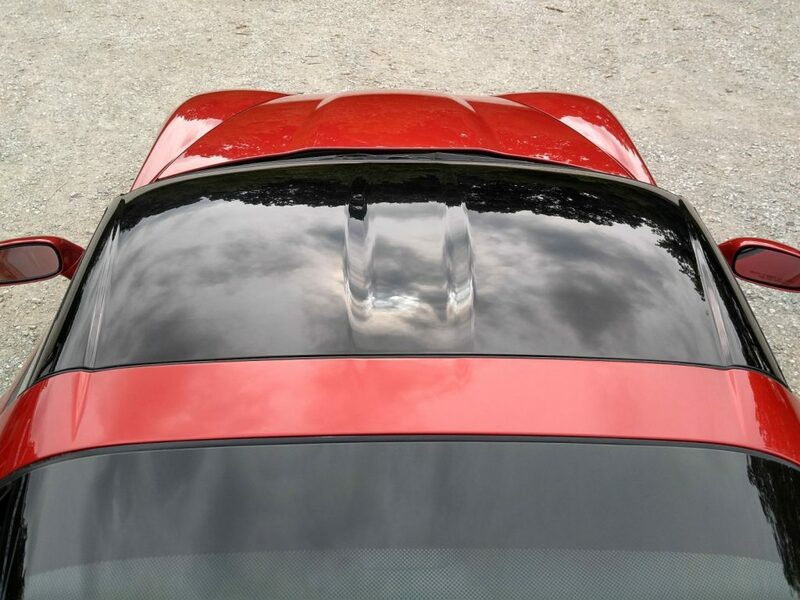 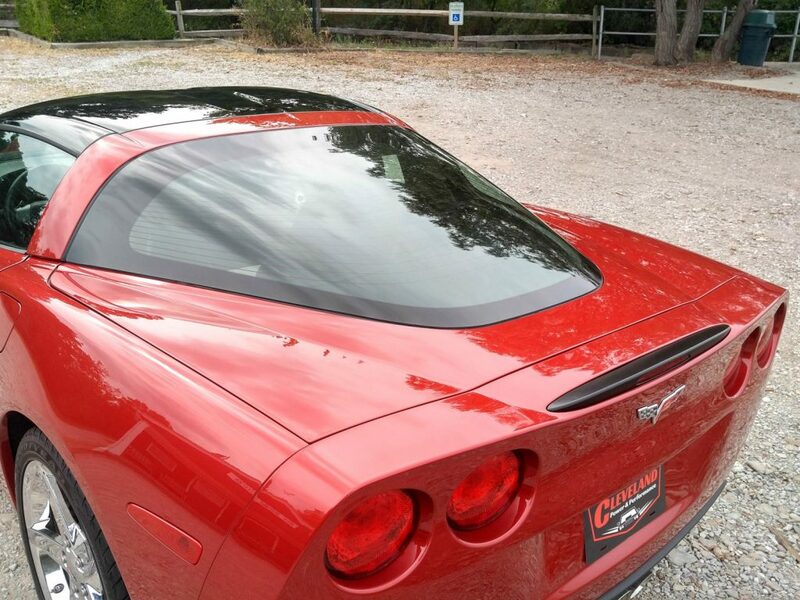 This vehicle is fully loaded with all of the features that you would expect in a C6 Corvette. 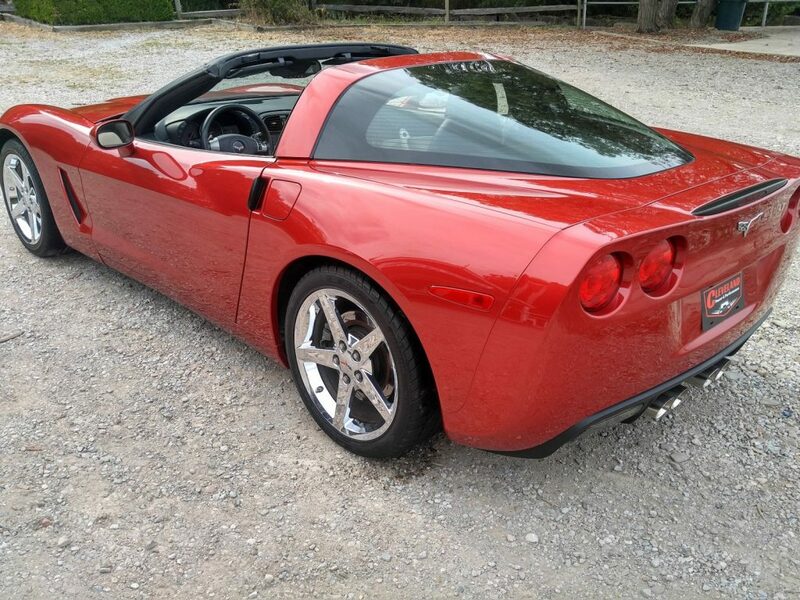 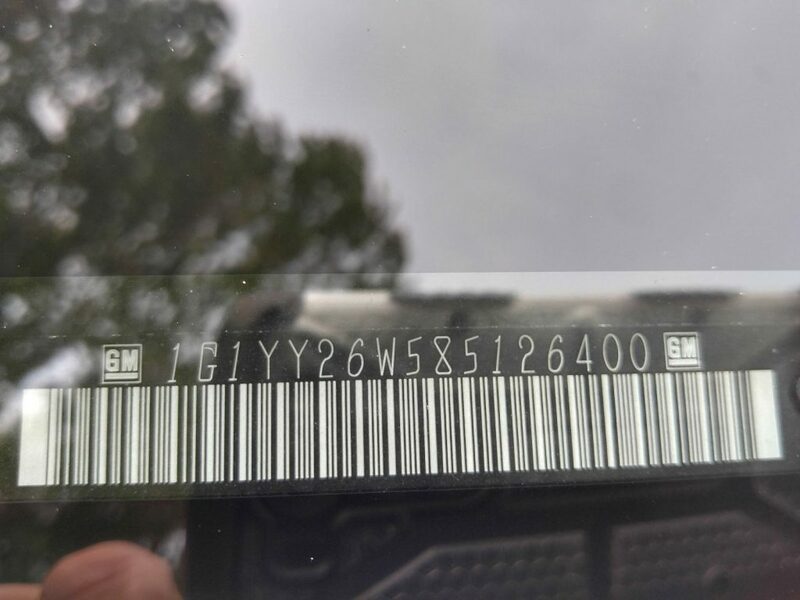 This Corvette has 52K miles on it! 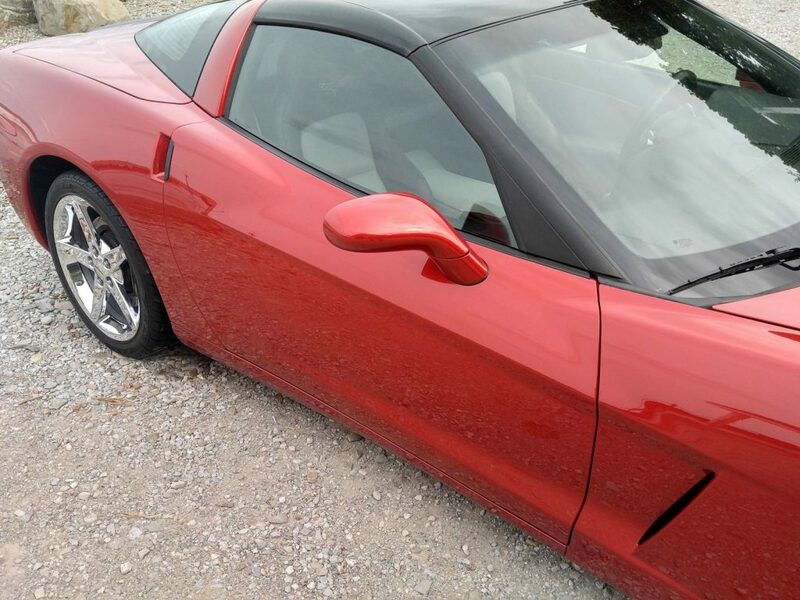 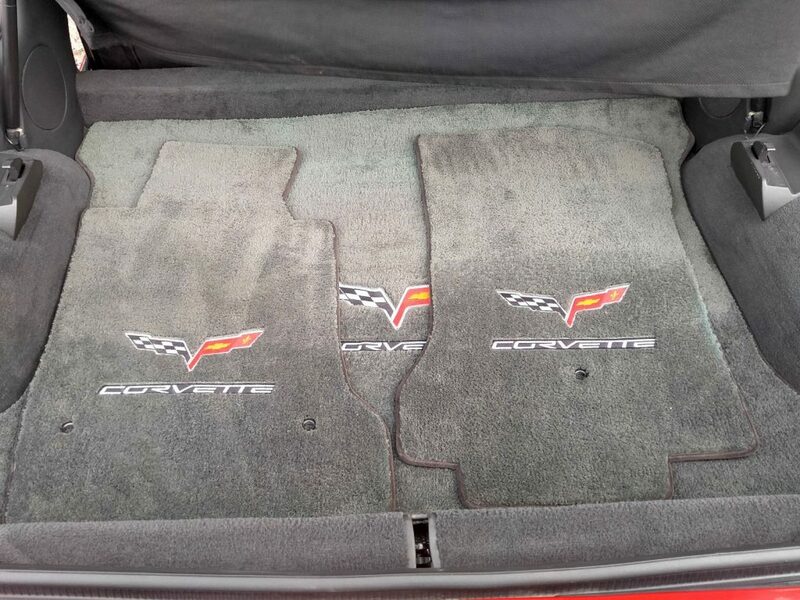 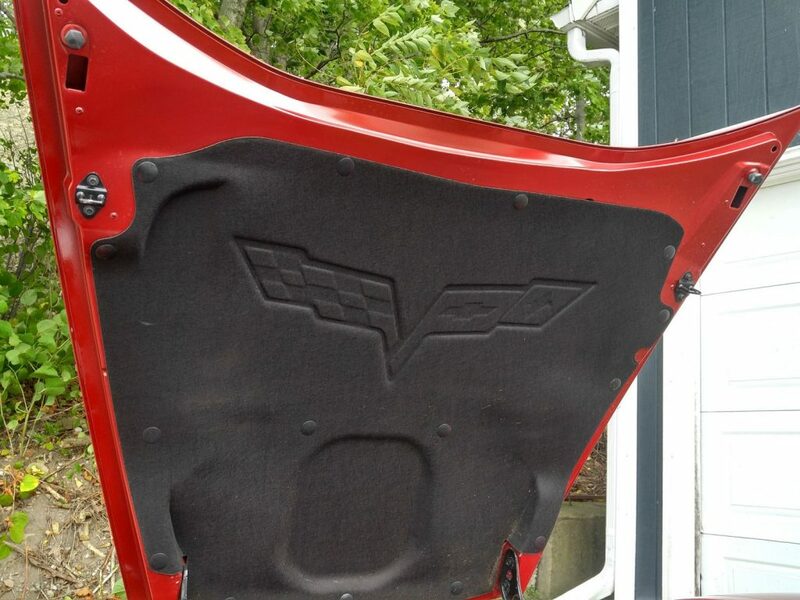 This is your chance to save thousands on a clean C6 Corvette! 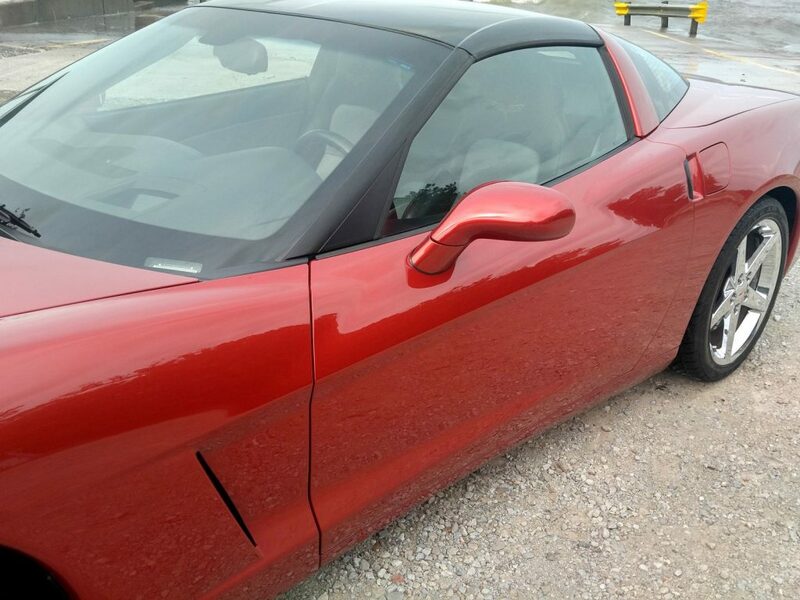 We purchased this Corvette after it had been involved in a rear end collision. 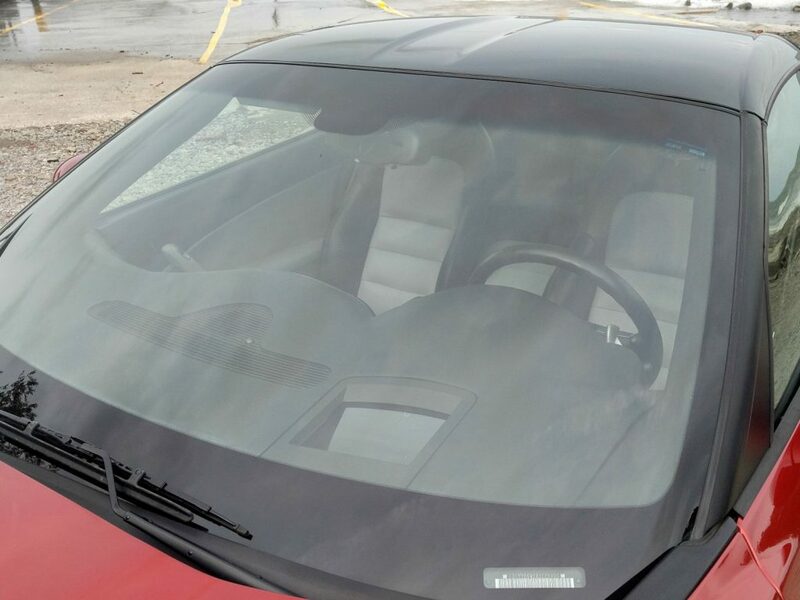 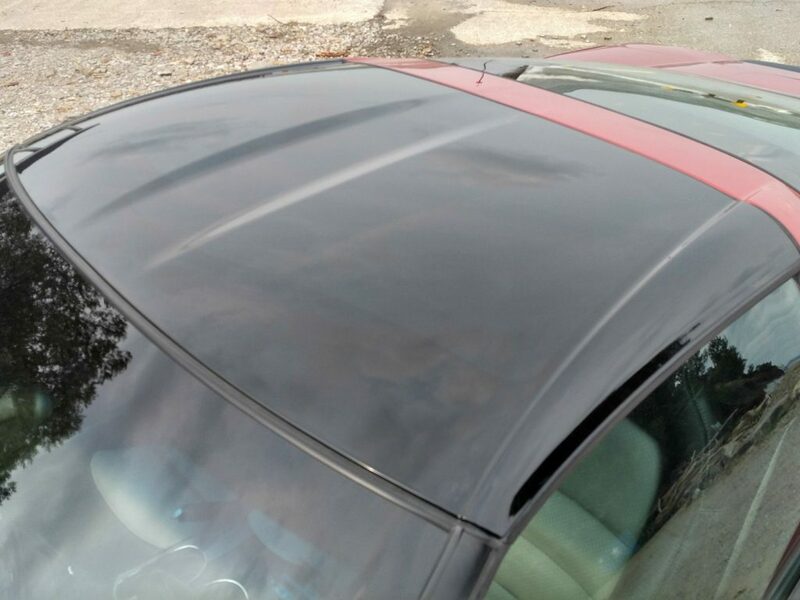 We have since fully repaired the collision damage and had this vehicle inspected by the Ohio state highway patrol. 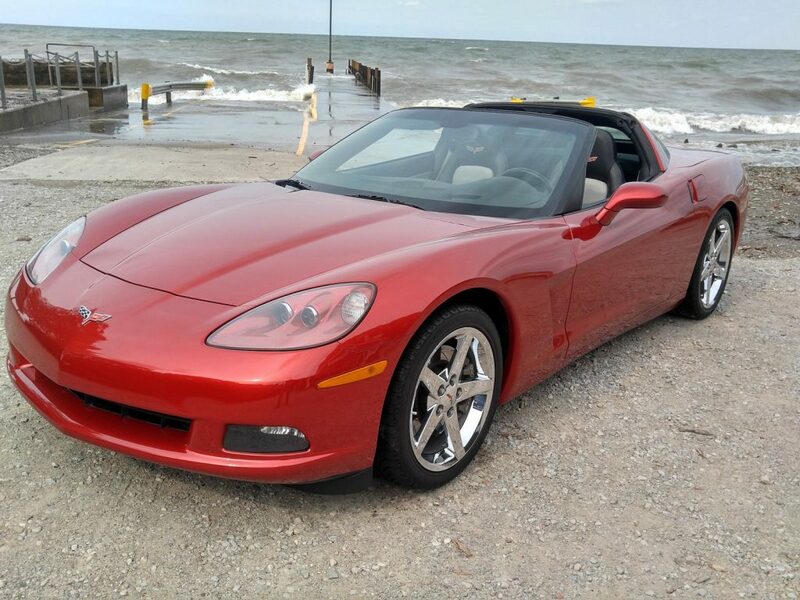 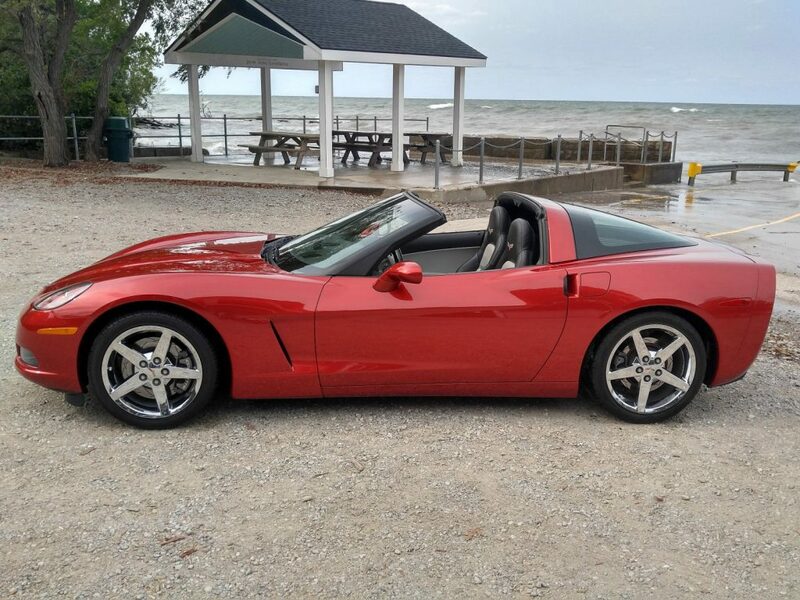 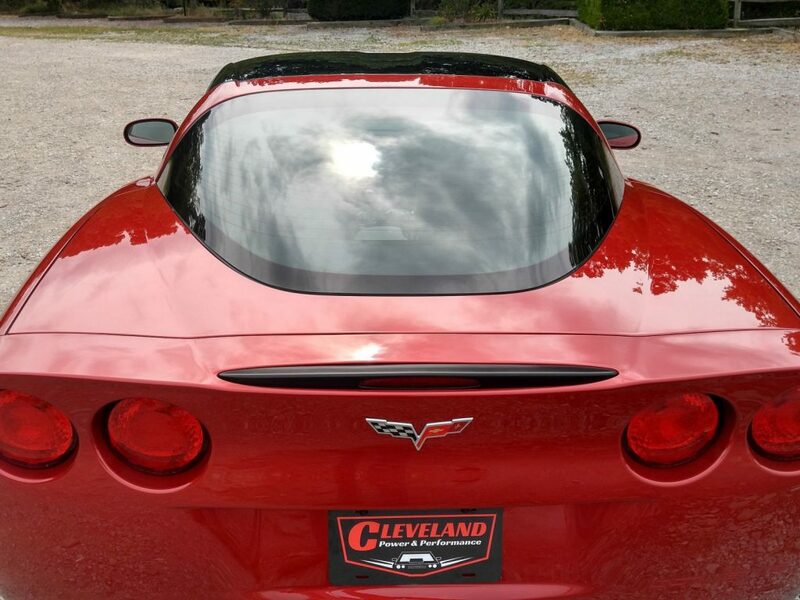 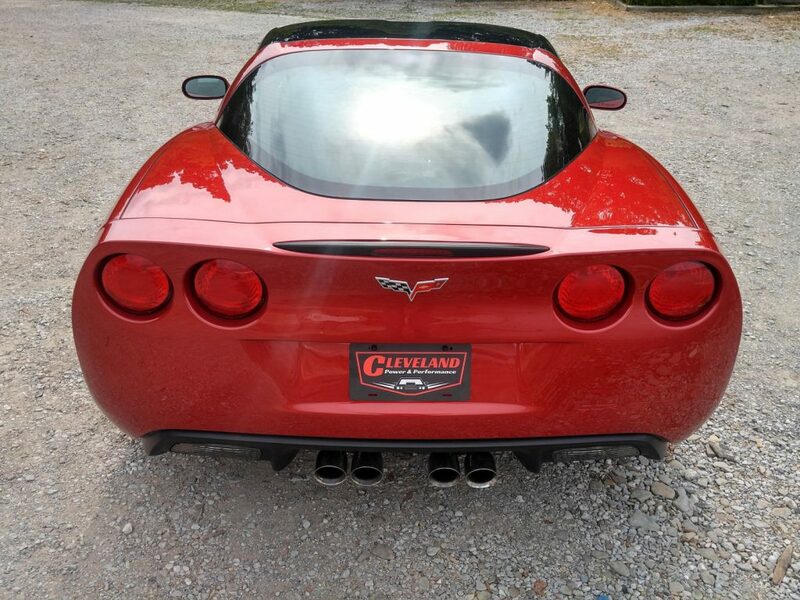 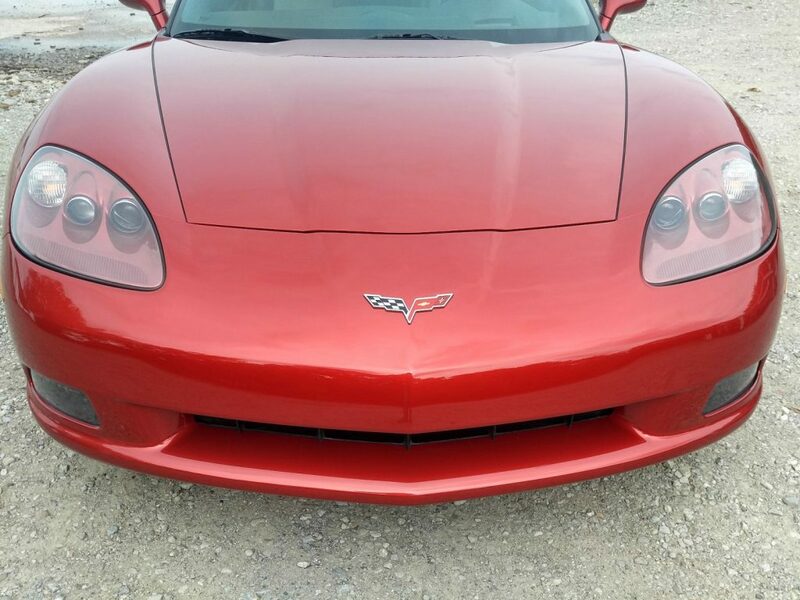 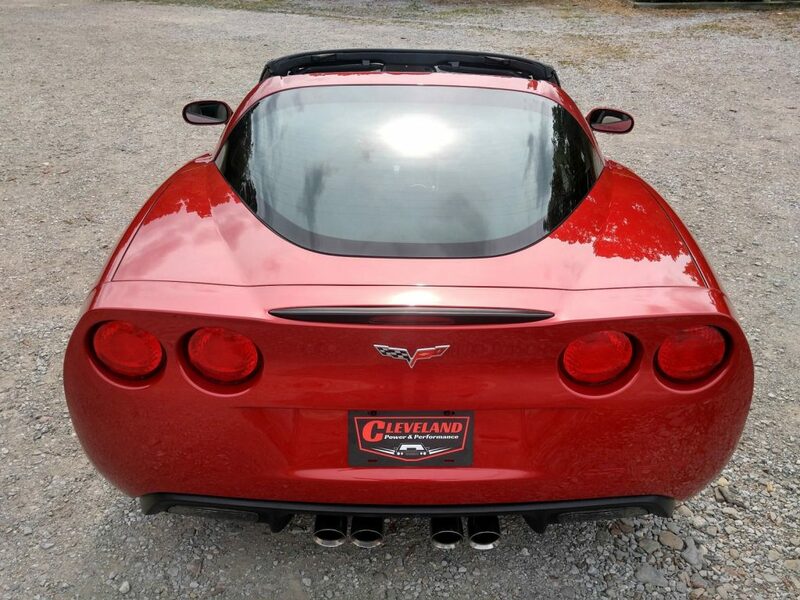 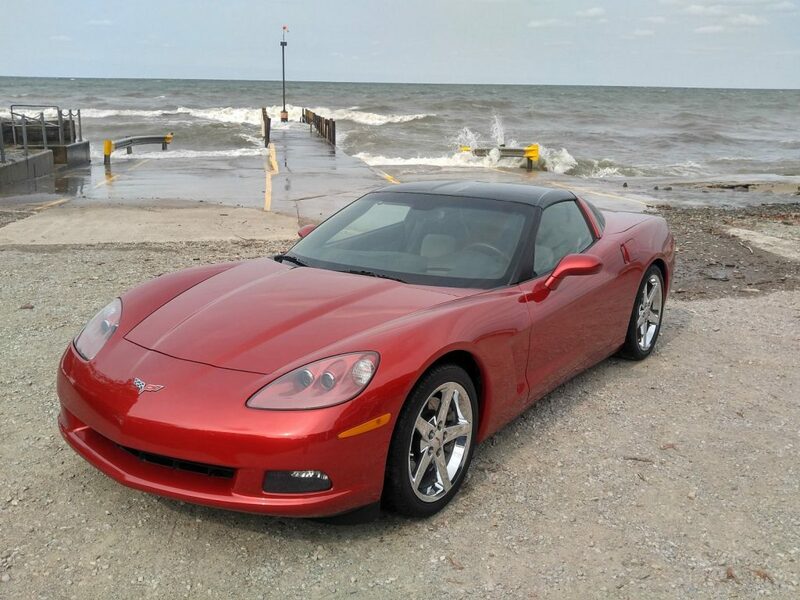 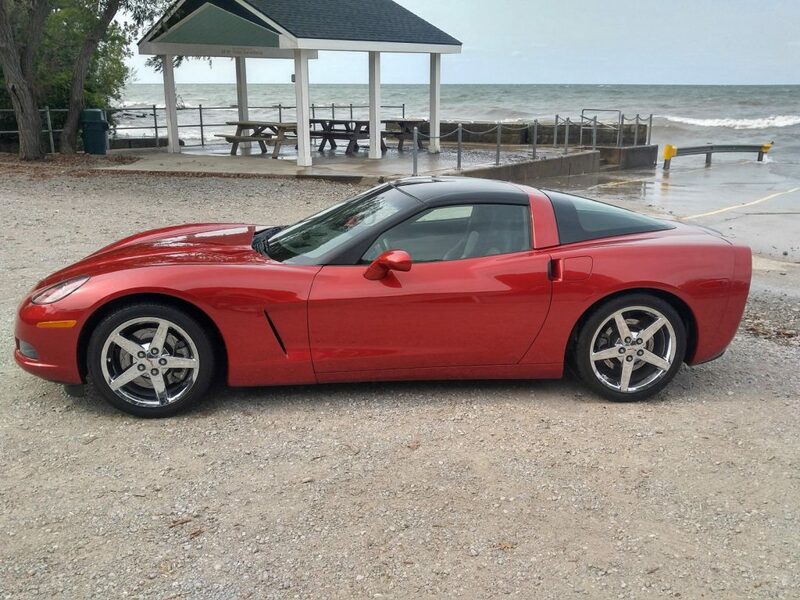 This Corvette now carries a fully insurable Ohio rebuilt salvage title that can be transferred to any US state. 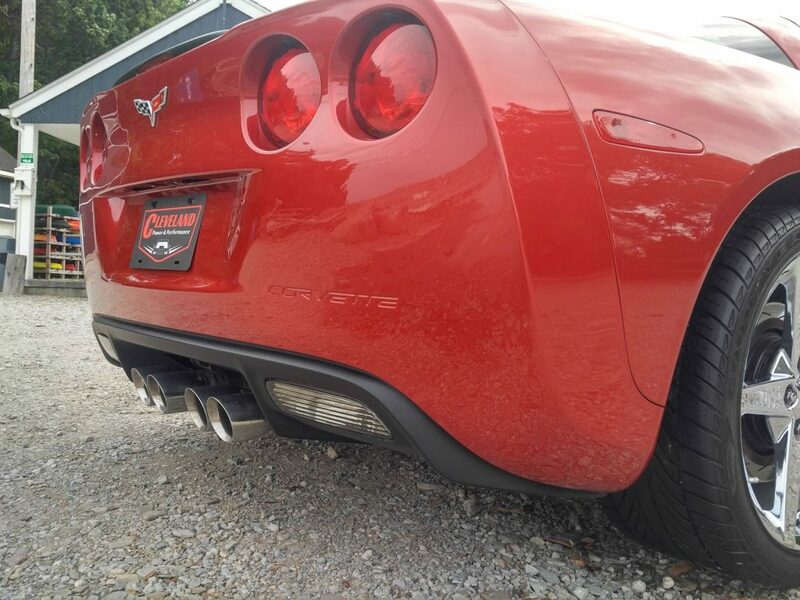 We replaced the rear bumper bar, rear fiberglass tub, rear hatch, rear bumper and right hand quarter panel. 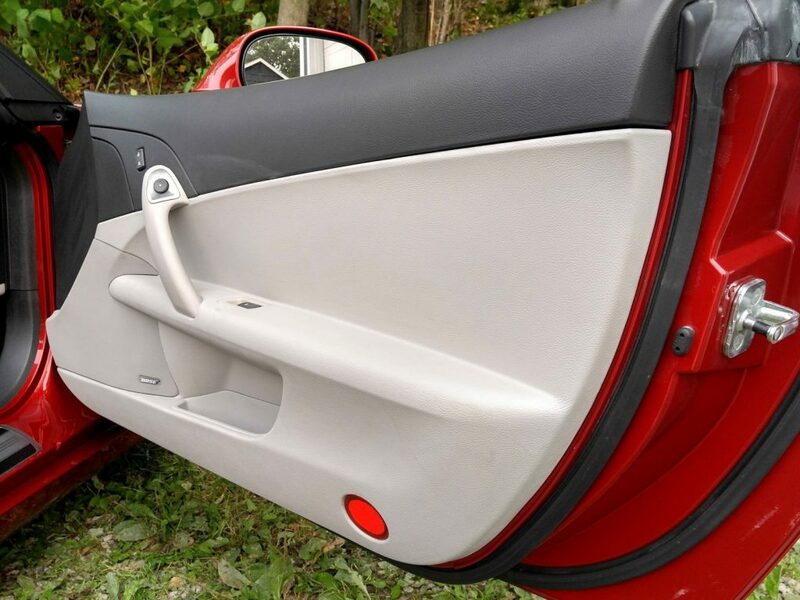 The rear rails are original to the vehicle. 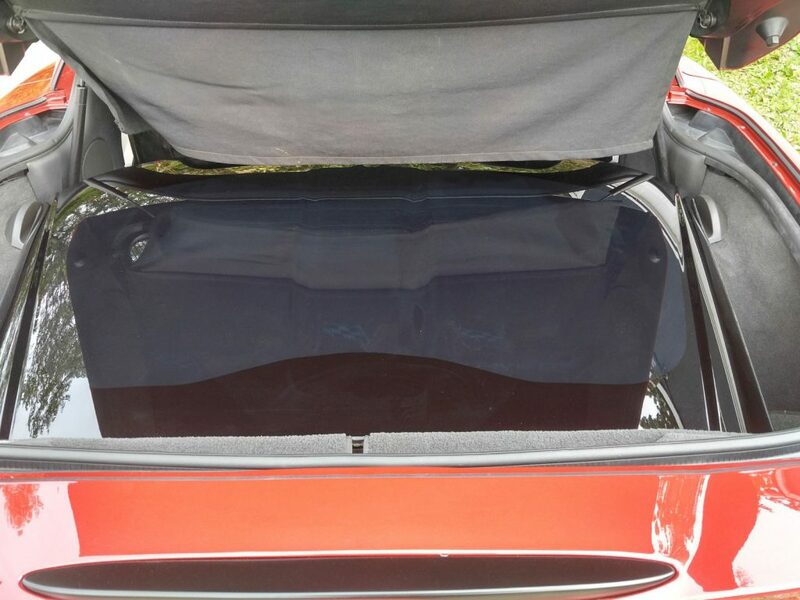 No airbags were deployed in the collision and the complete airbag system is fully operational. 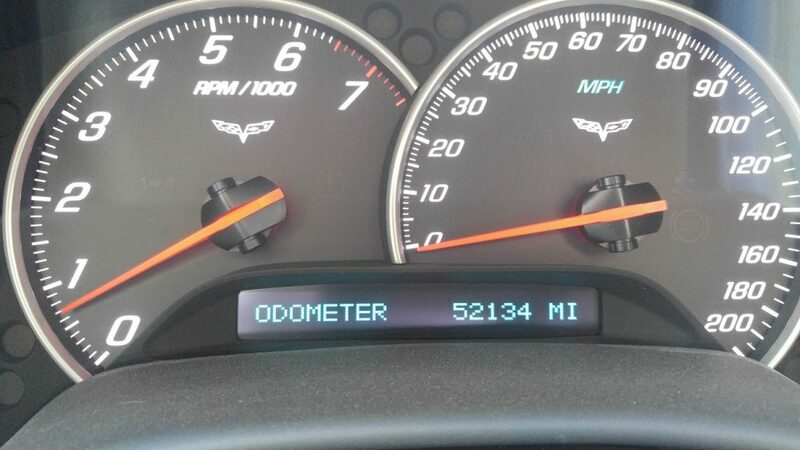 There are no active warning lights on the cluster and we have put over 500 test miles on it since it has been repaired. 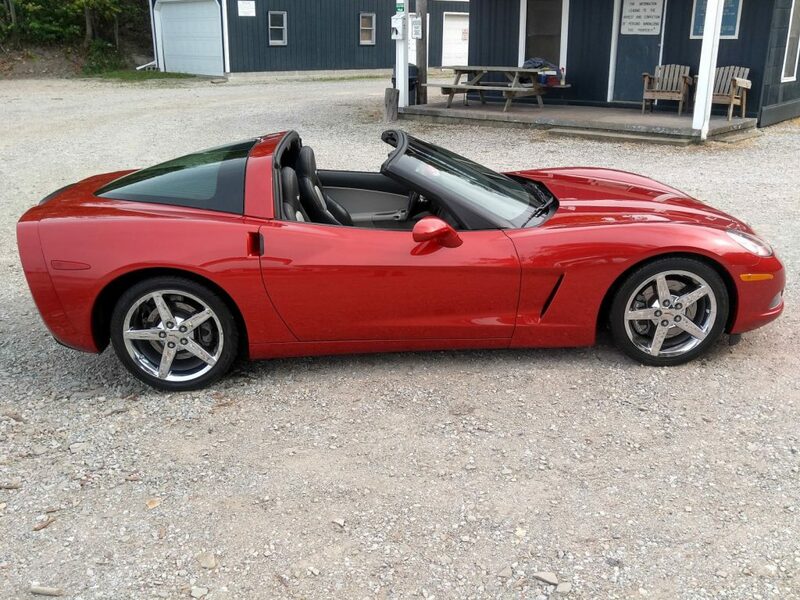 This 2008 Corvette features the awesome 6.2L LS3 engine which produces 436HP and 428ft-lbs of torque! 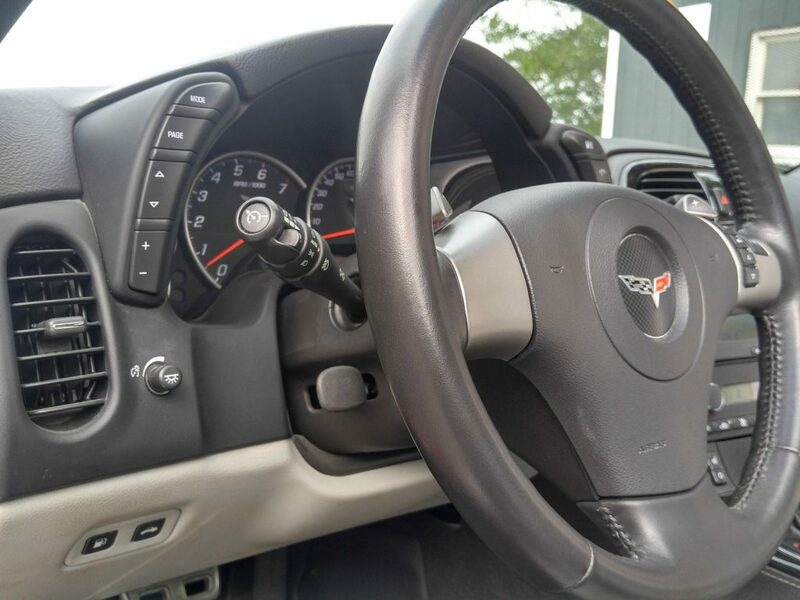 Putting the power to the wheels is the stout 6L80E 6-speed automatic transmission and 2.73 ratio rear differential. 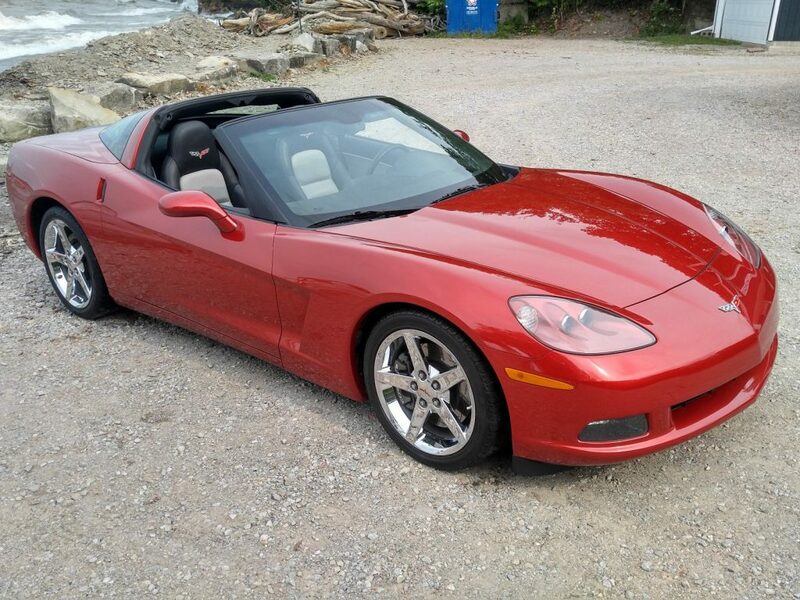 This Corvette is optioned out with all of the performance and luxury components that you expect in a C6. 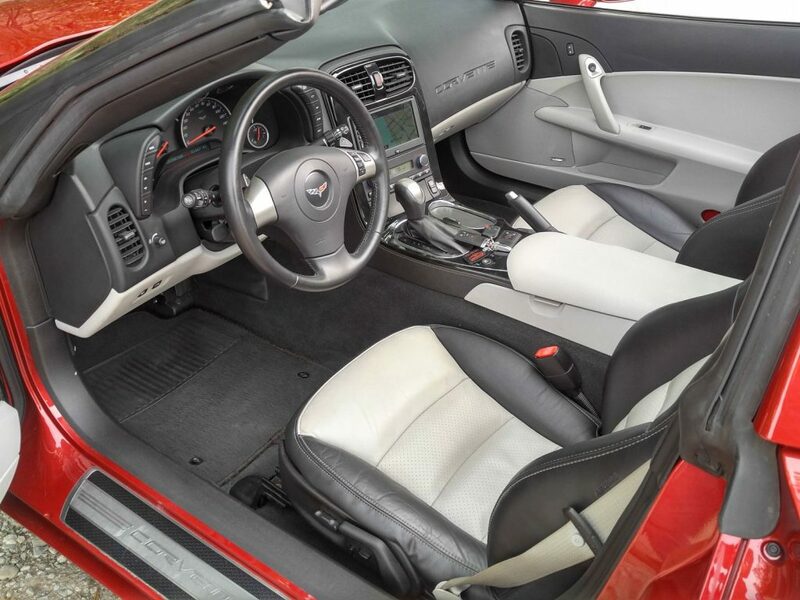 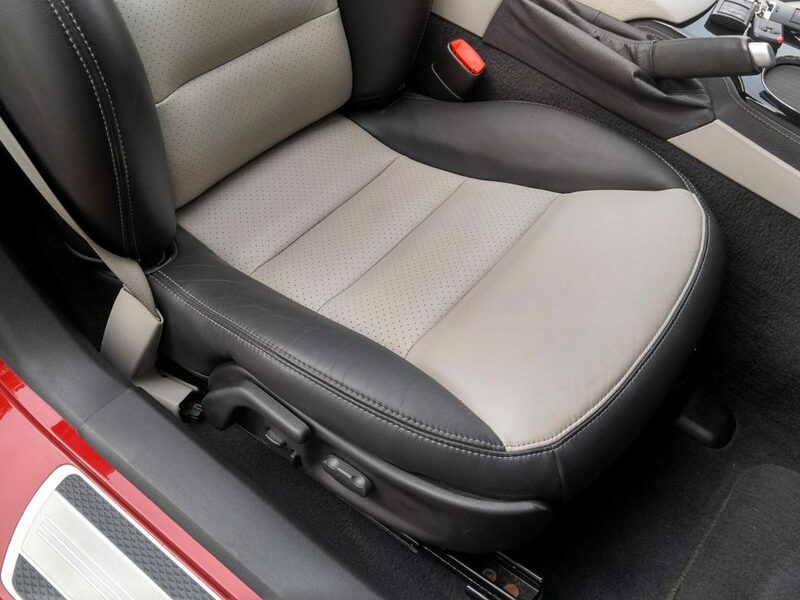 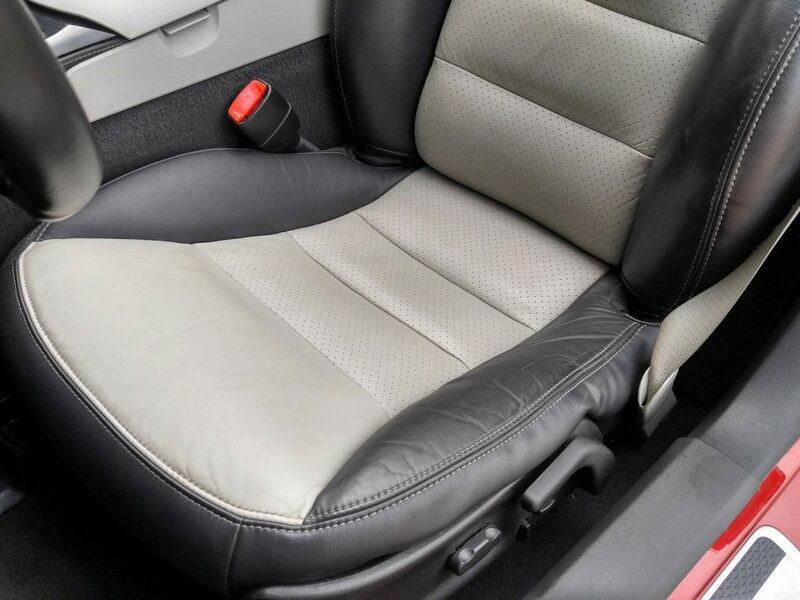 The interior of the car features driver’s and passenger’s leather seats with power controls. 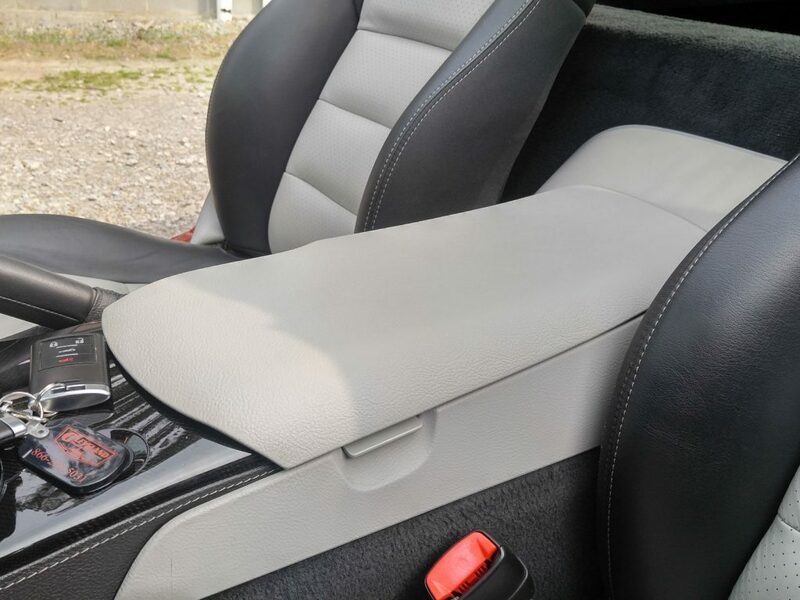 Both front seats are heated and the driver’s seat features the memory option. 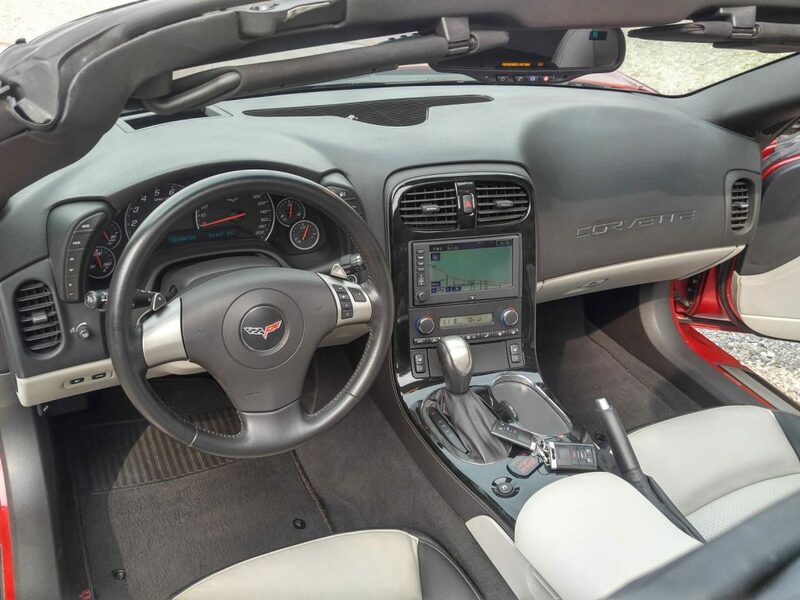 This Corvette also features a navigation system, Bose sound system, removable glass roof, NPP mufflers, heads up display, and much more. 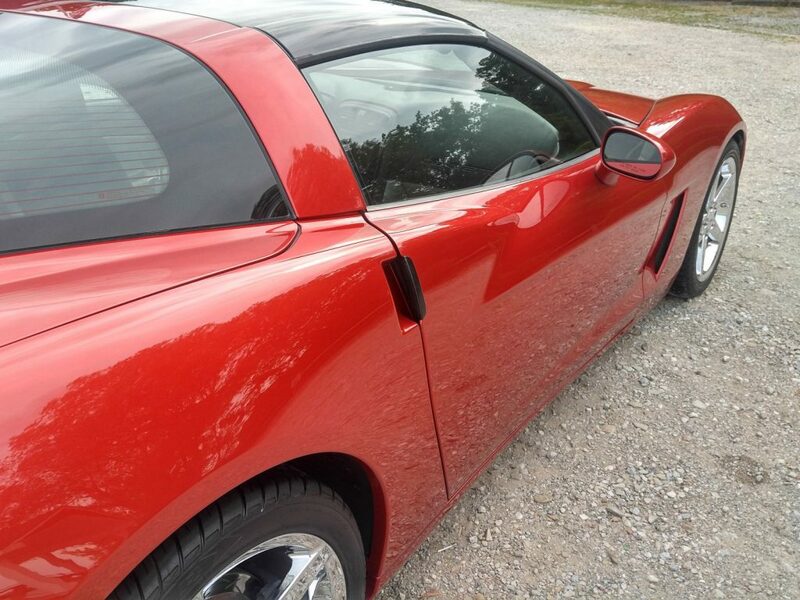 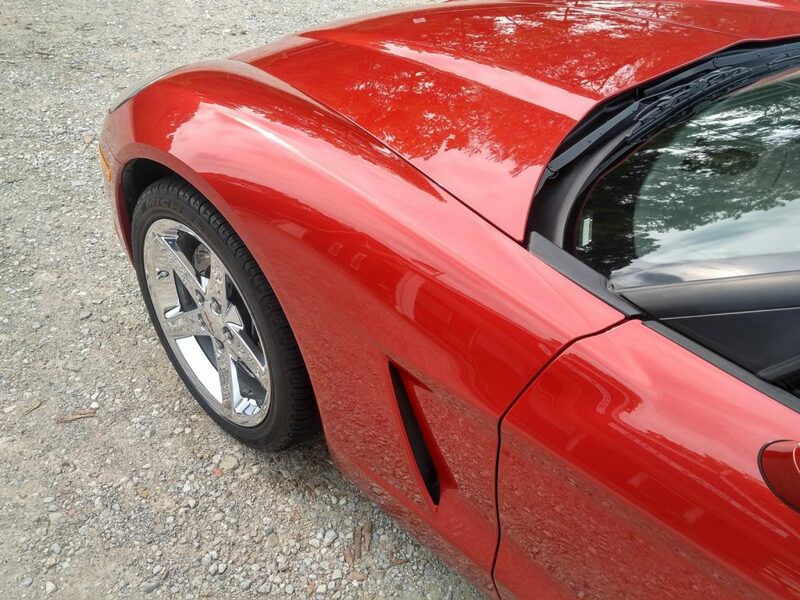 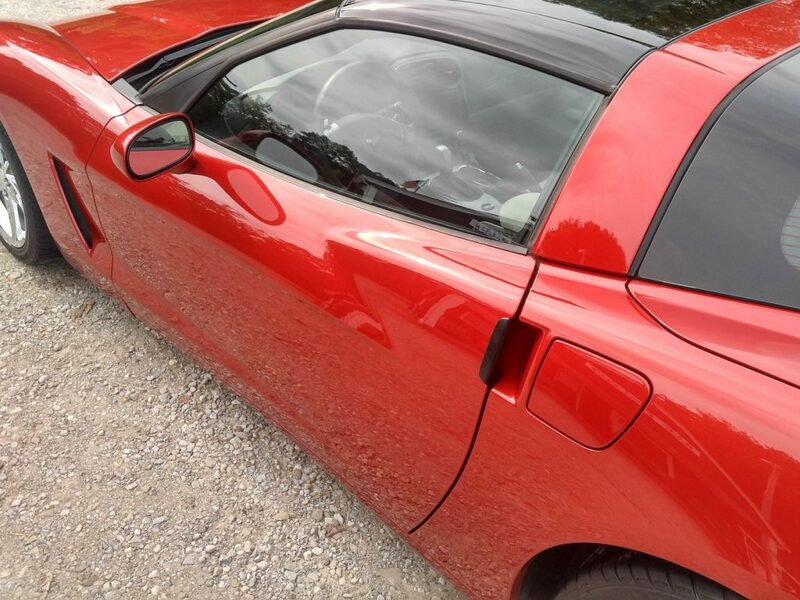 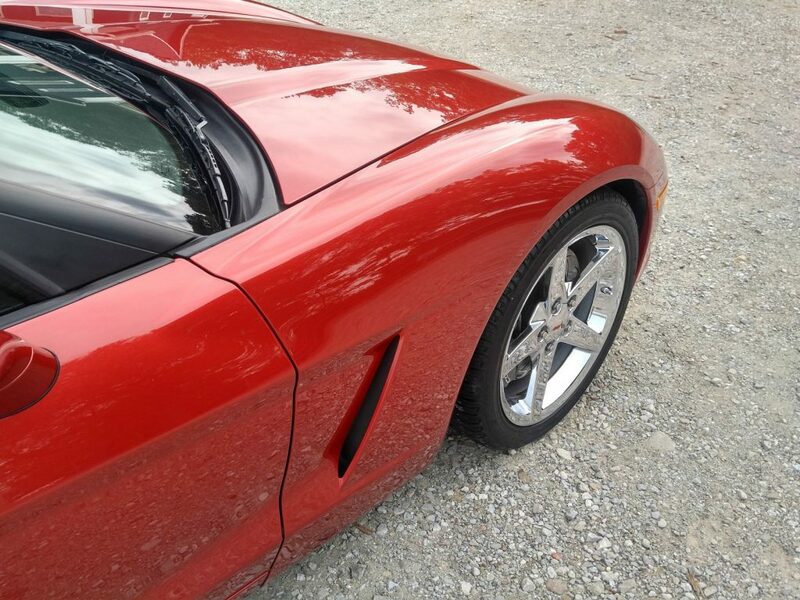 This Corvette is painted “Crystal Red Metallic Tintcoat” in color. 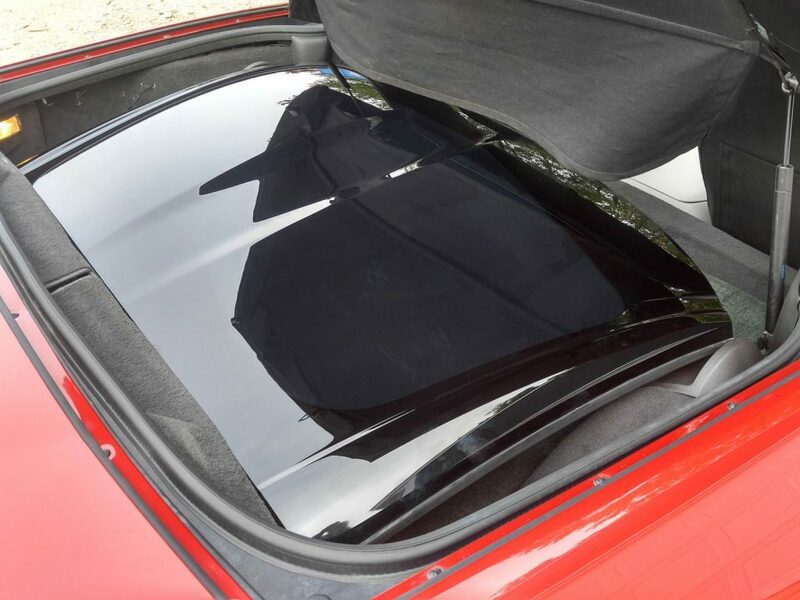 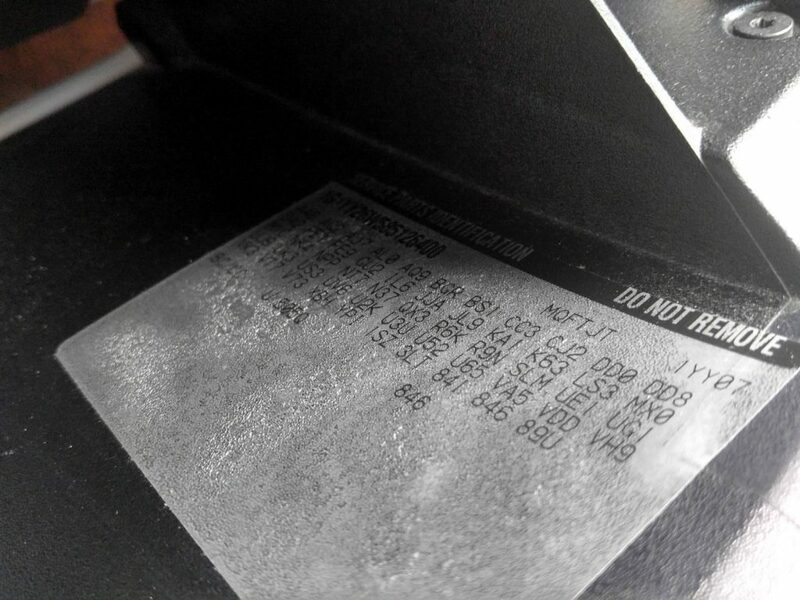 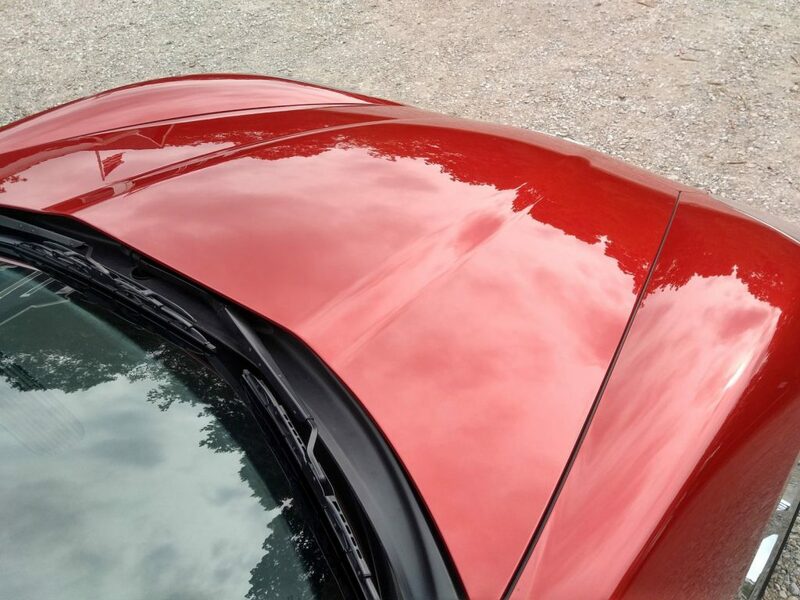 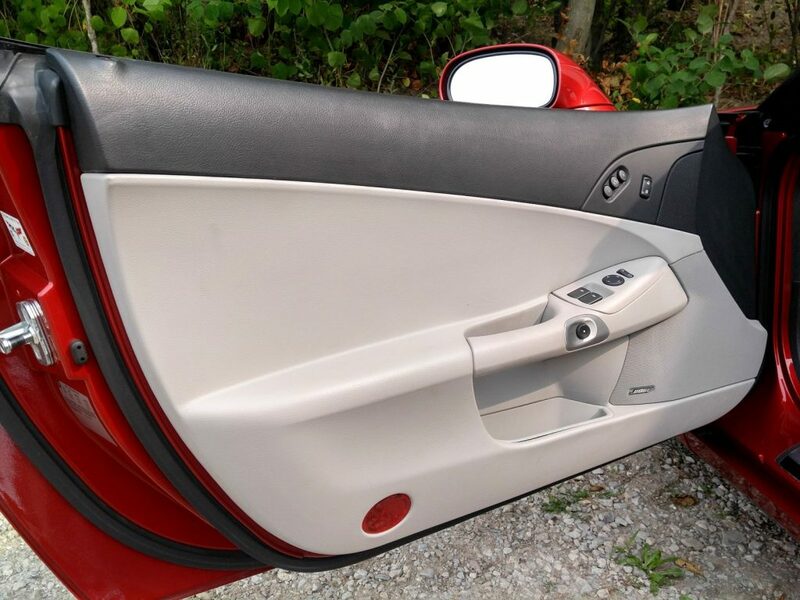 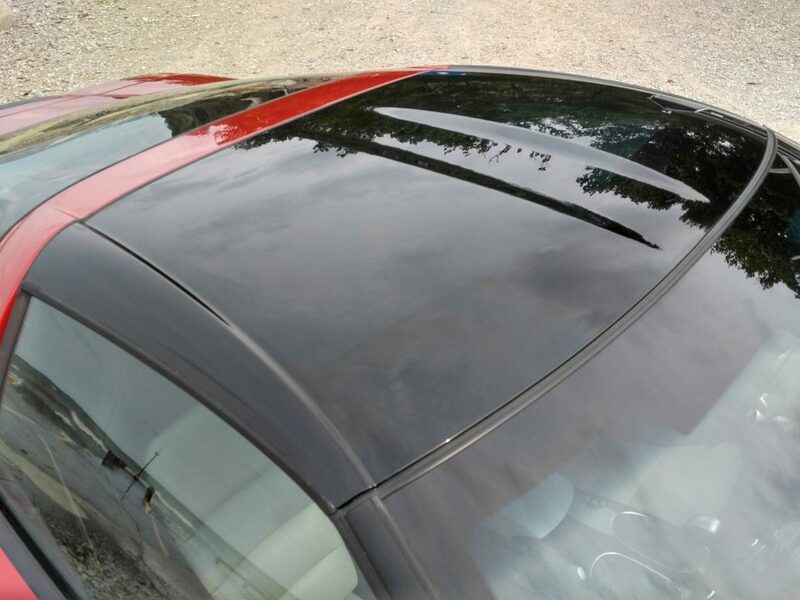 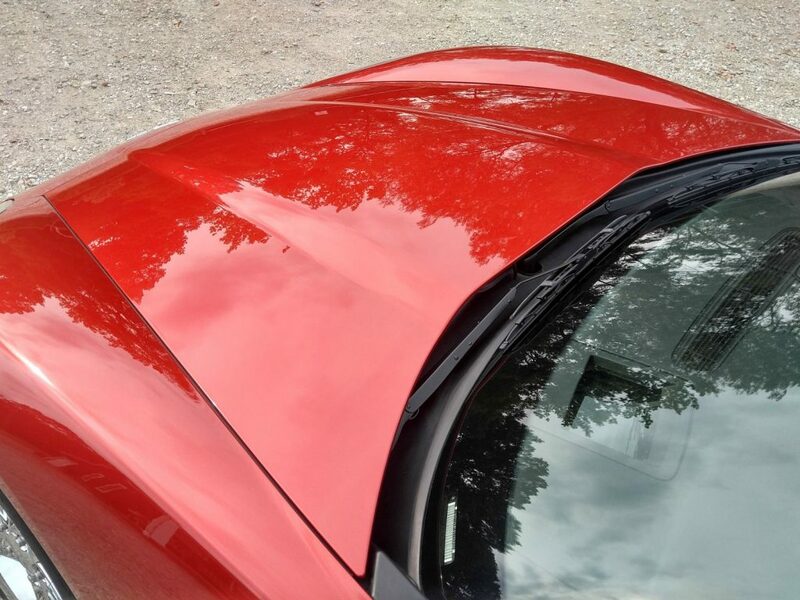 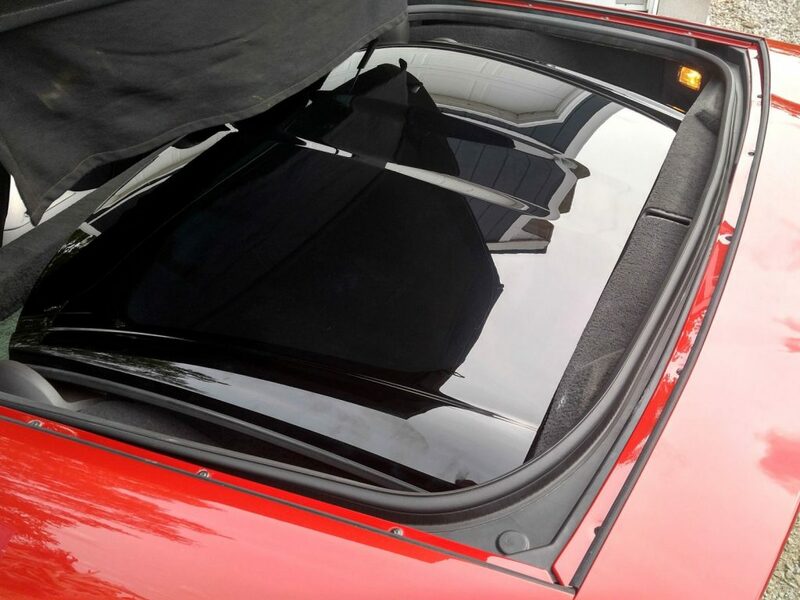 The paint is in very nice condition, with the minor marks as expected on a used vehicle. 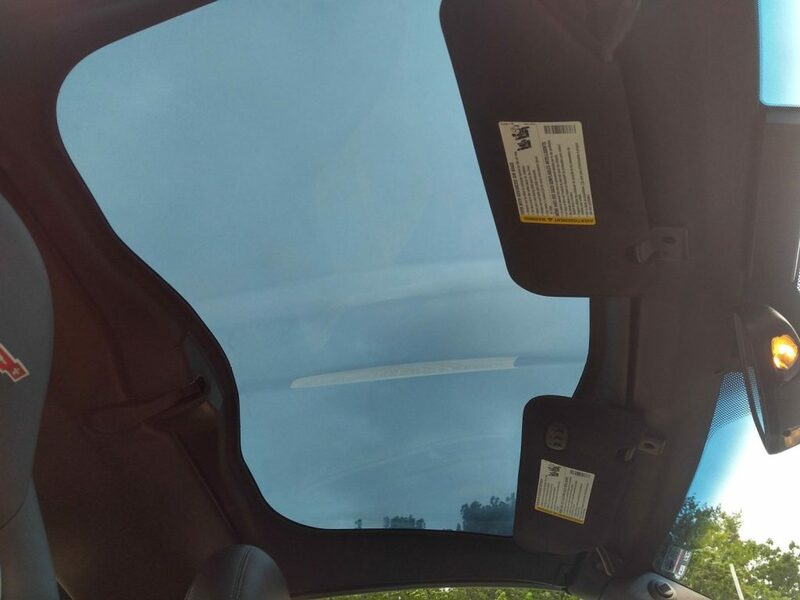 Please make sure to scroll to the bottom of the auction to see an underside picture. 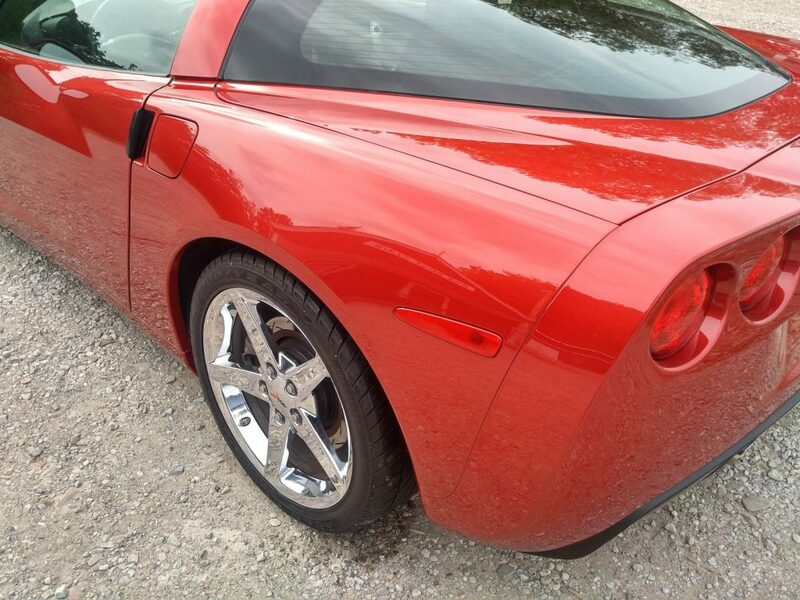 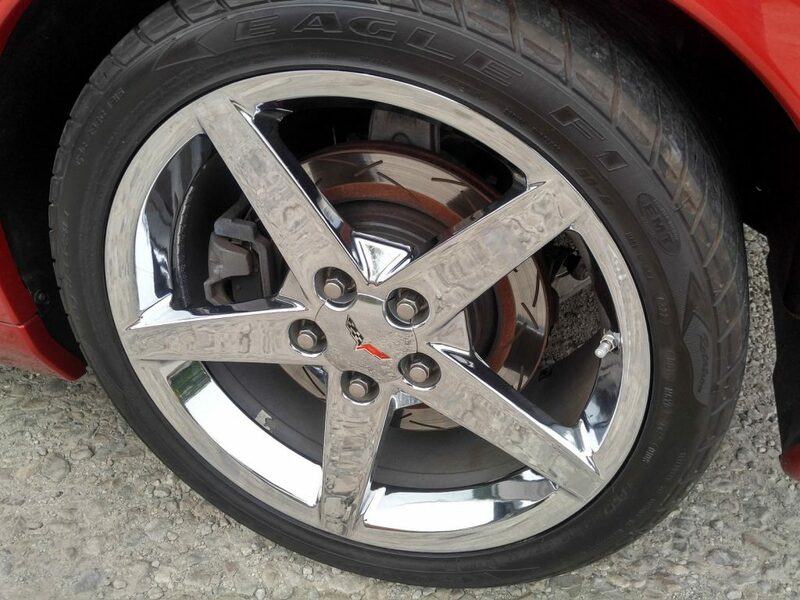 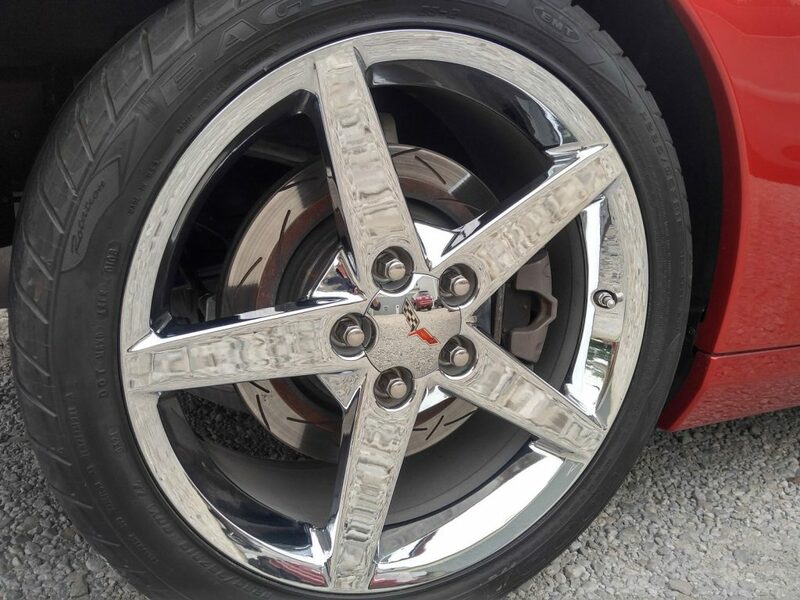 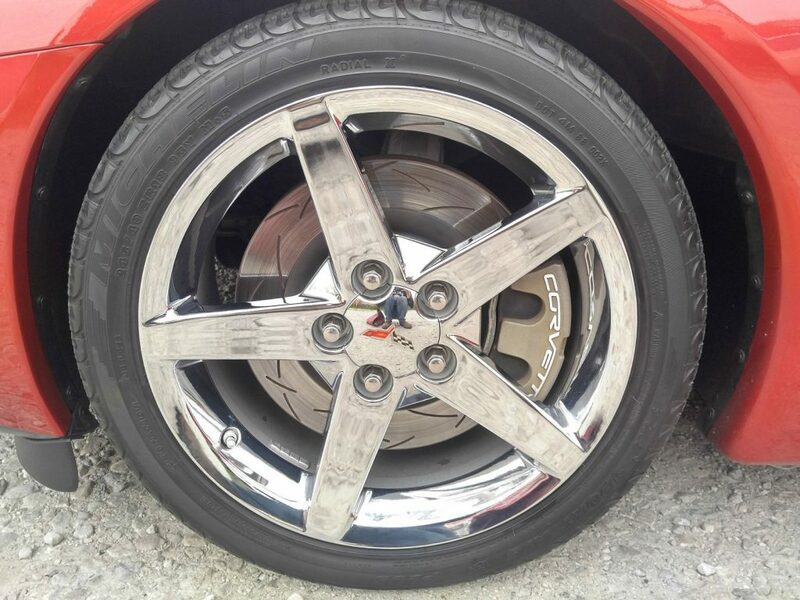 This Corvette is sitting on all four factory 2008 style chrome 5 spoke 18” and 19″ rims. 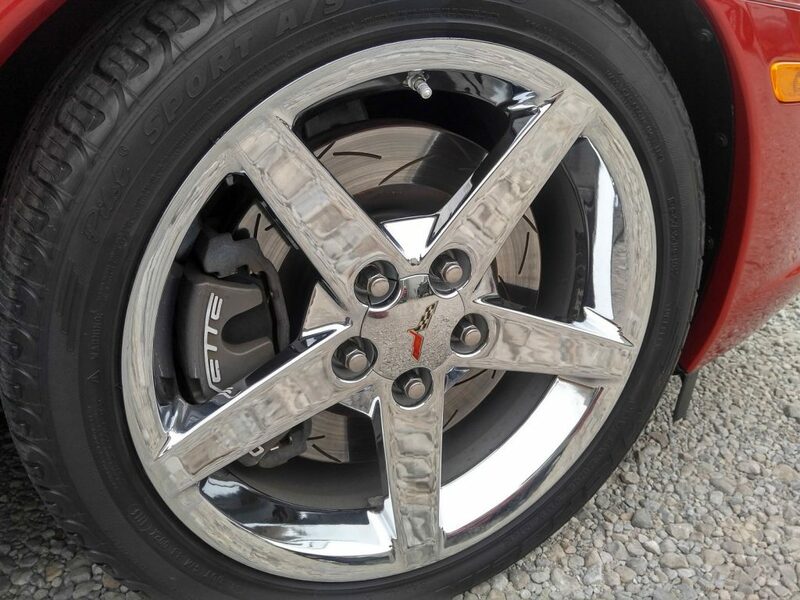 The front wheels are wrapped in Michelin Pilot Sport tires and the rears are wrapped in Goodyear Eagles. 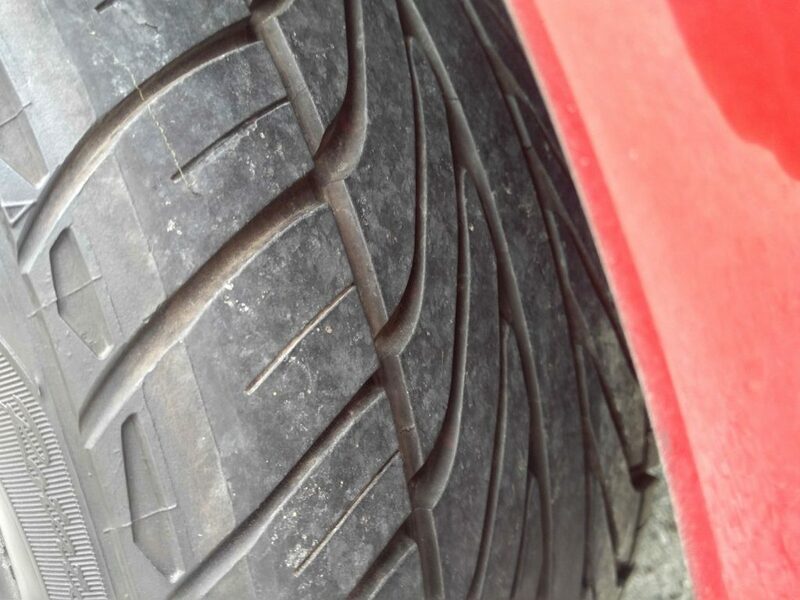 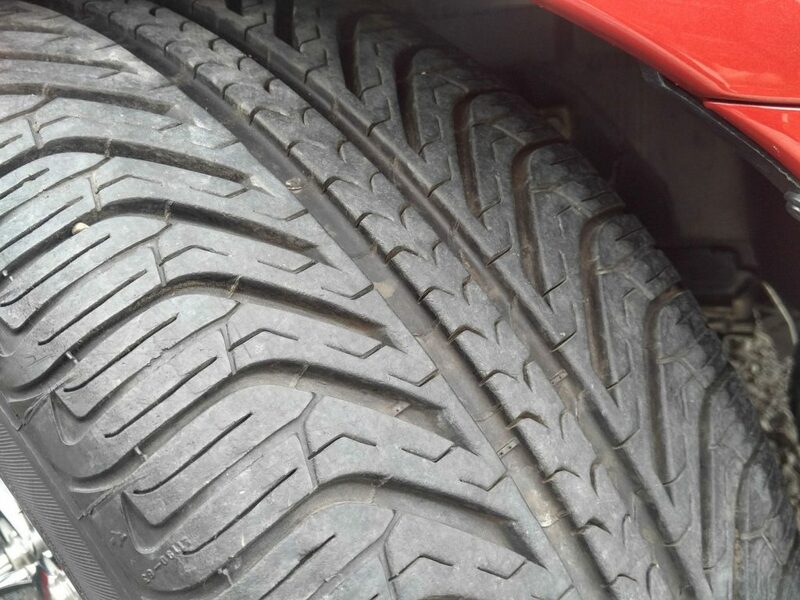 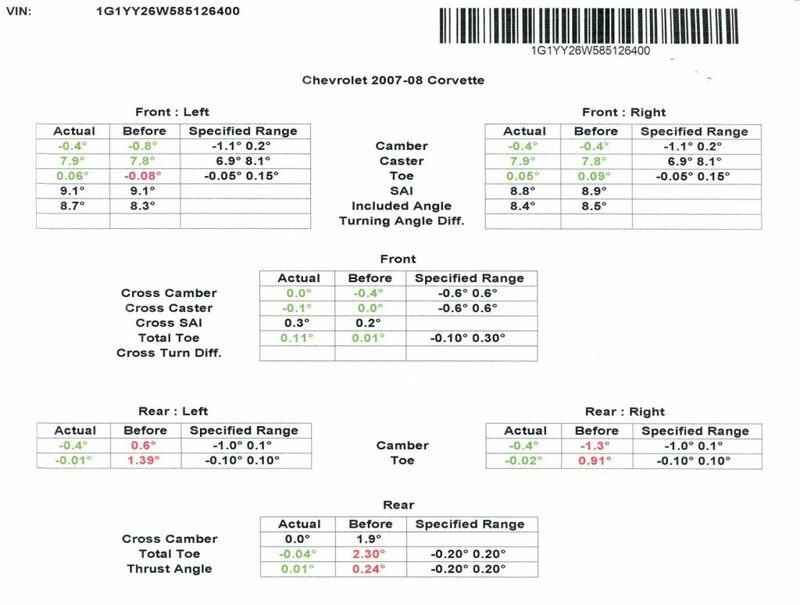 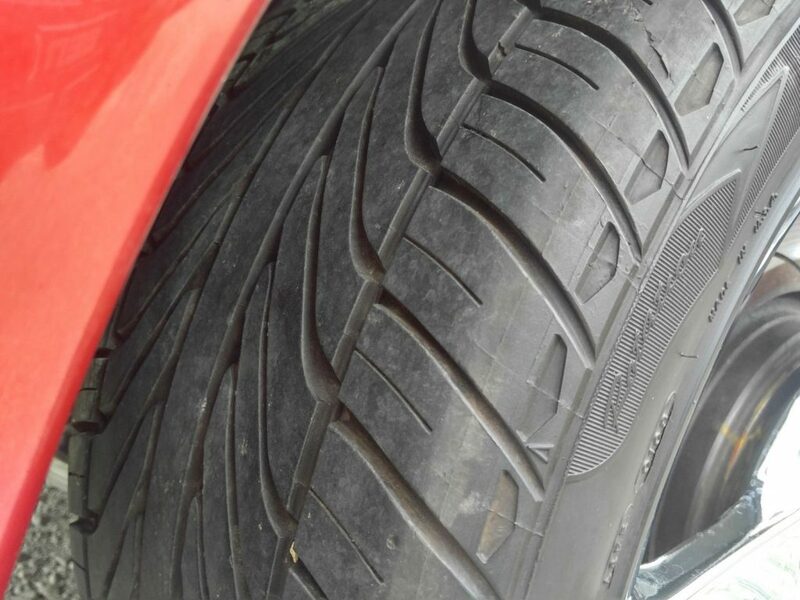 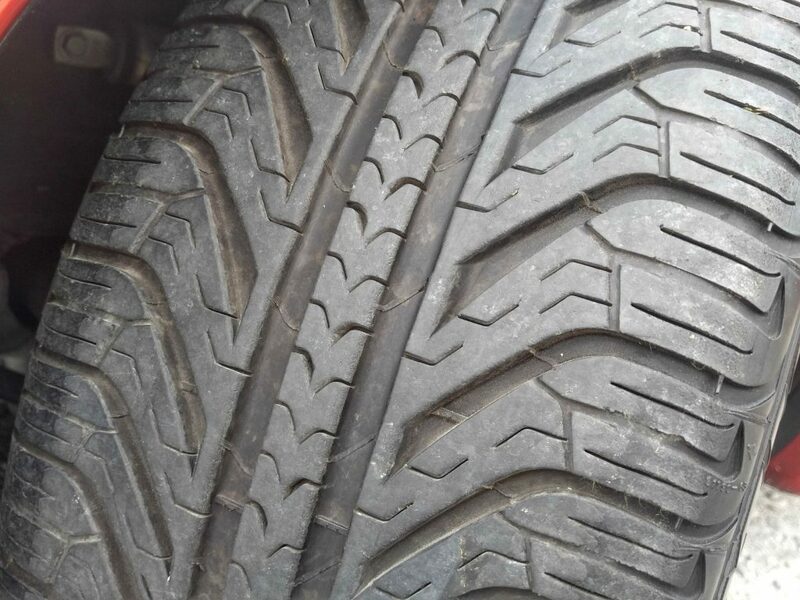 The front tires are size 245/40/18 and the rears are size 285/35/19. 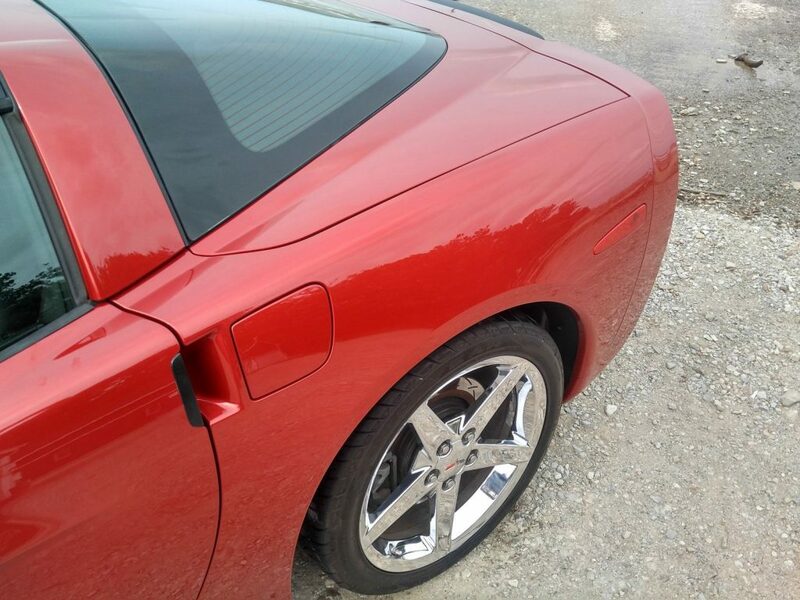 Once the repairs were complete, this vehicle was professionally aligned.